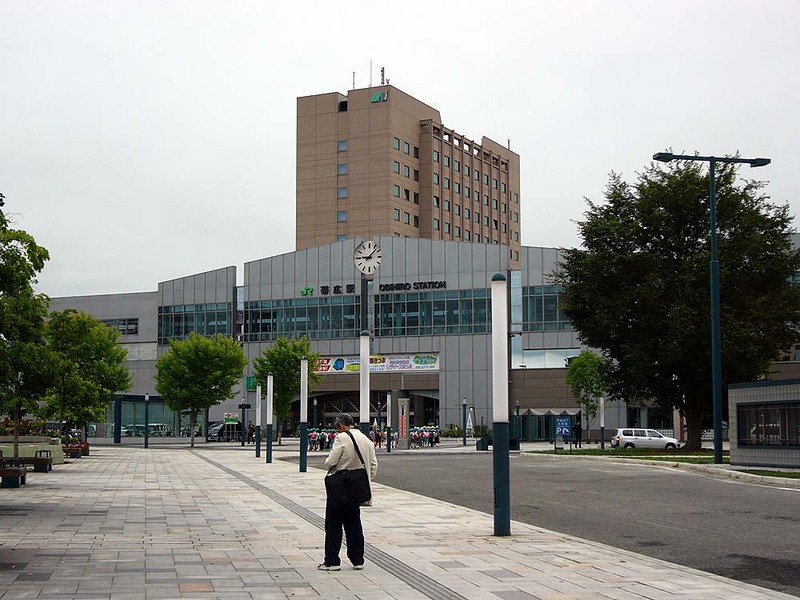 Kushiro Station. The station boulevard is running on the front side of the station. 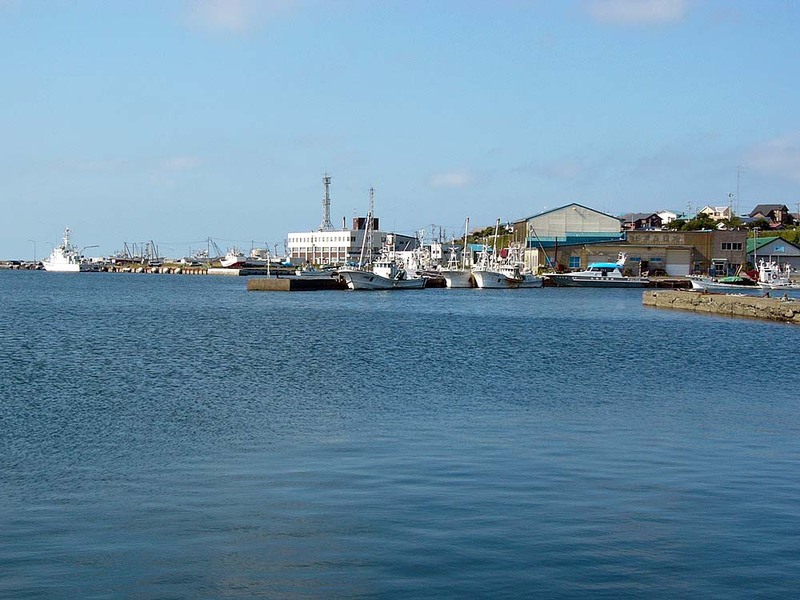 Kushiro port. Since the opposite shore is visible, it looks like riverside rather than sea. 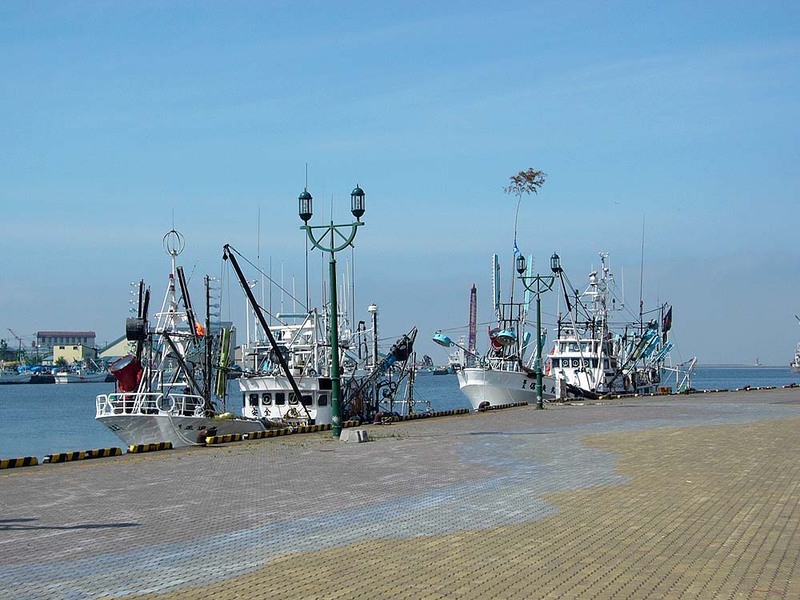 Fishing boats are anchored along the berthing surface. The lighting equipment of each fishing boat is so large, it is impressive. 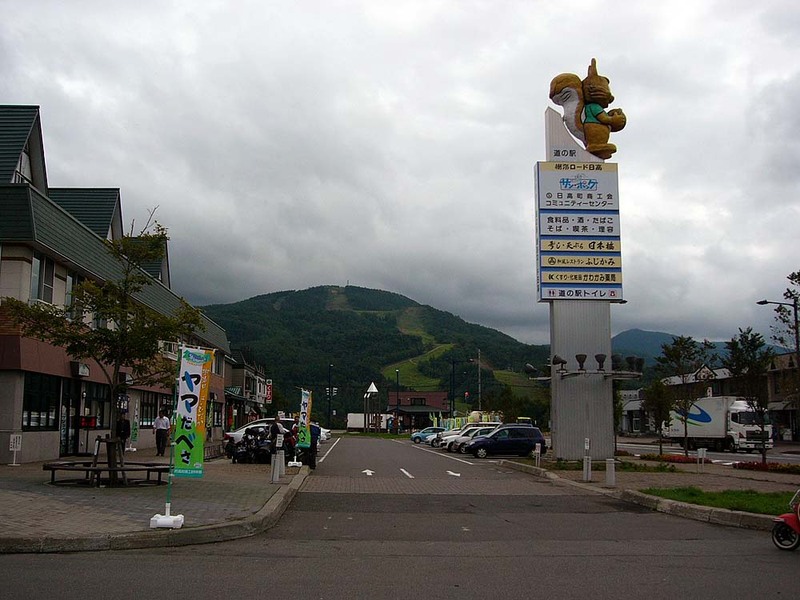 Akkeshi is seen over the highway. 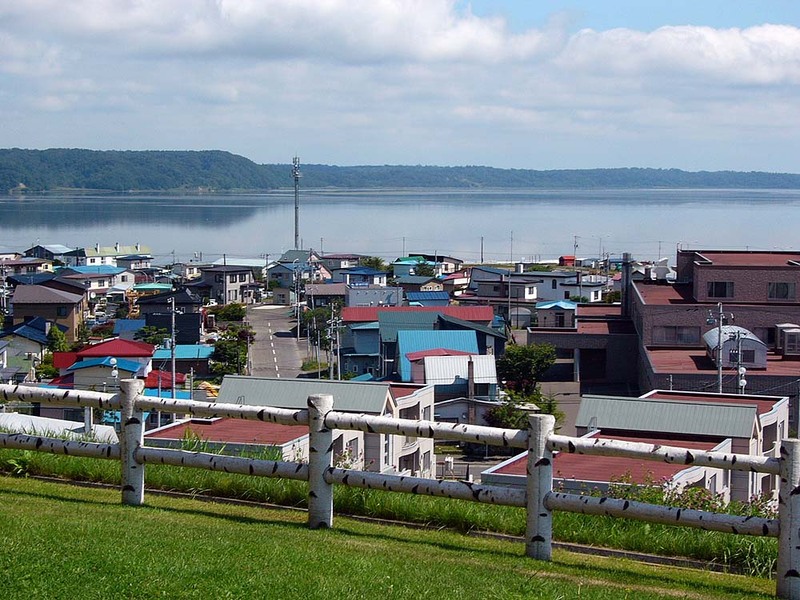 Many houses are clustered on the flat part of the seaside of Akkeshi. 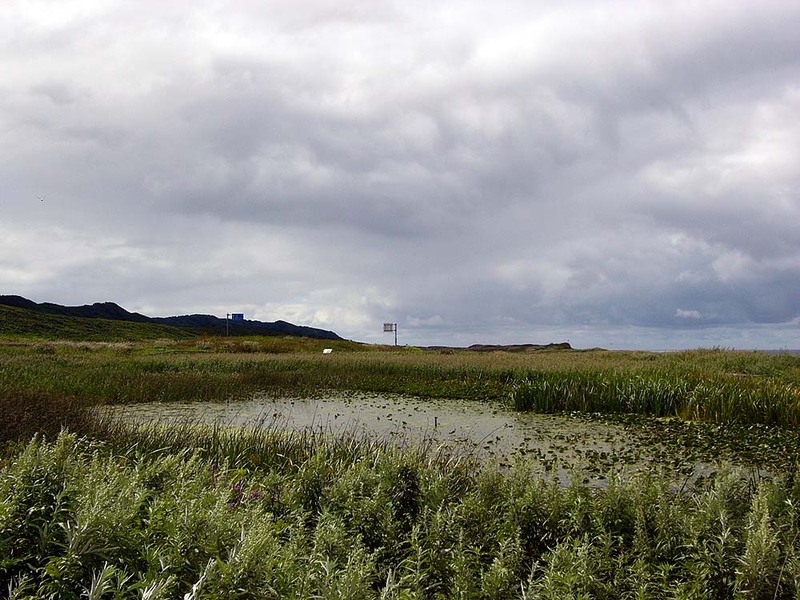 Wetlands. I looked down from the main road. 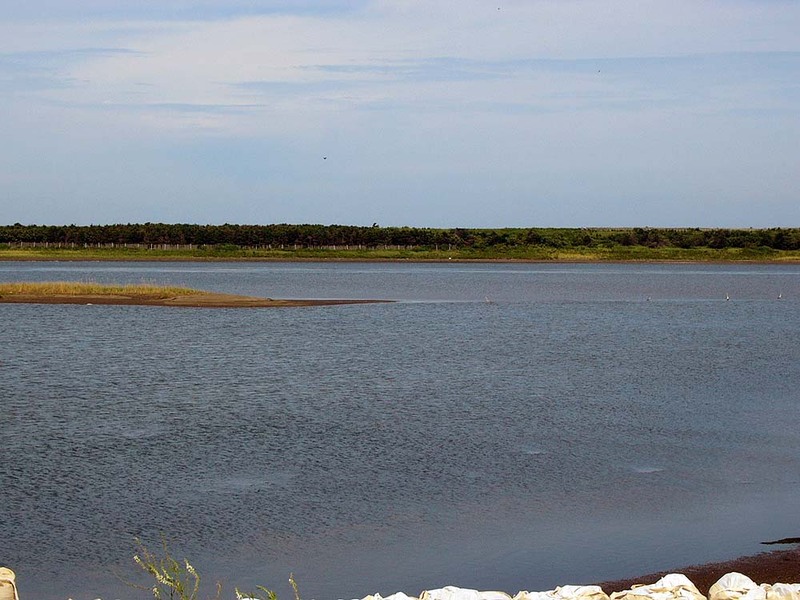 Only the wetlands have a unique color different from the surroundings. I found a lighthouse on the way to Nemuro. The winding road heading to the lighthouse is impressive. 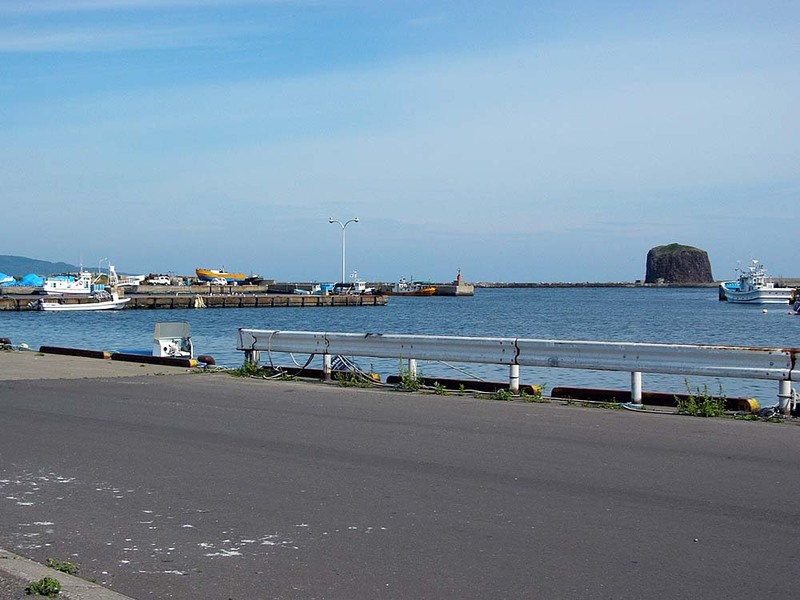 Spacious Nemuro port. The color of the water is blue. 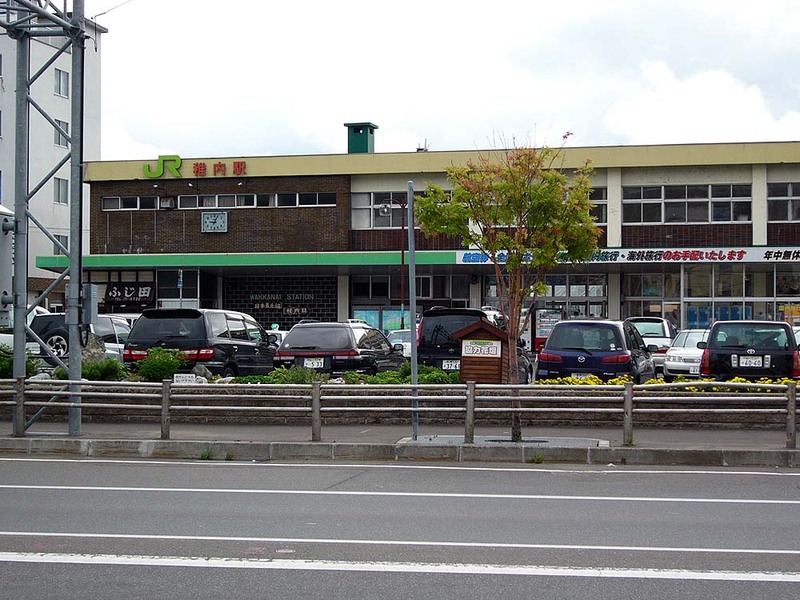 Nemuro Station. 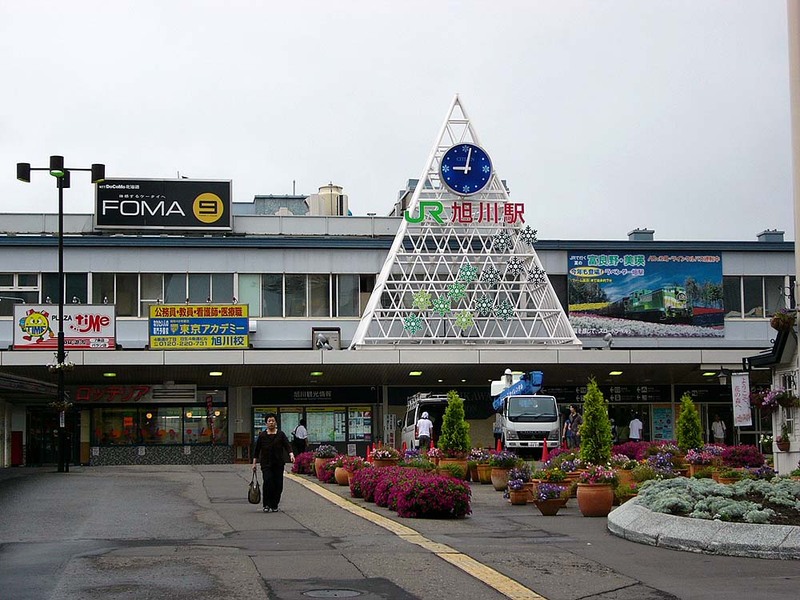 This is the second most eastern station in Japan. 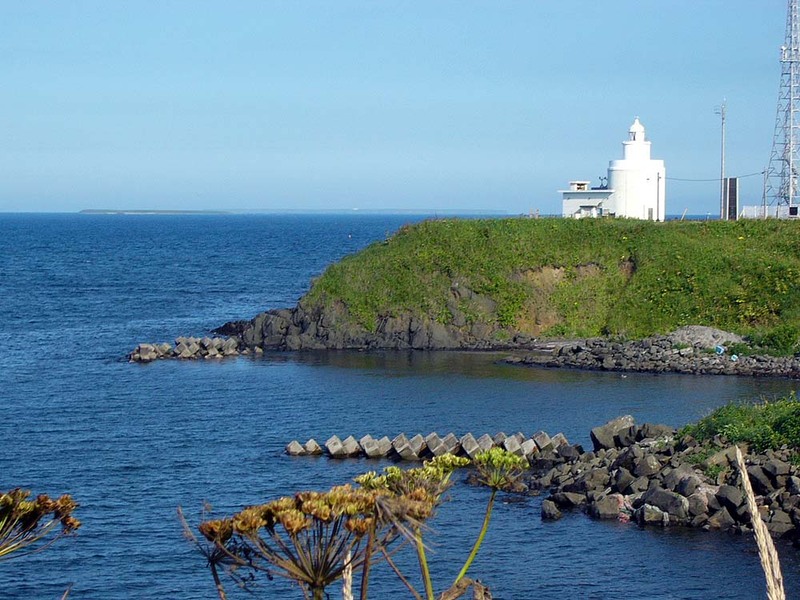 Cape Nosappu is at the Japan's easternmost location. 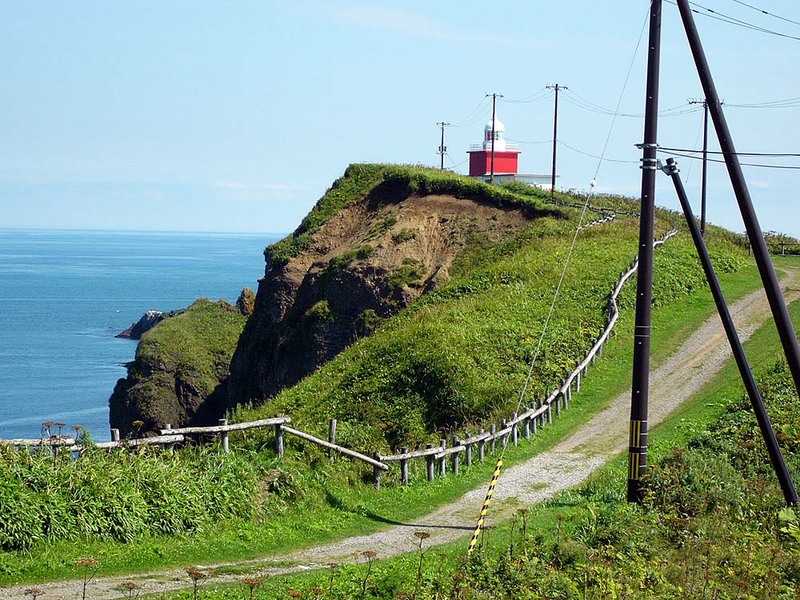 There is a small lighthouse near Cape Nosappu. 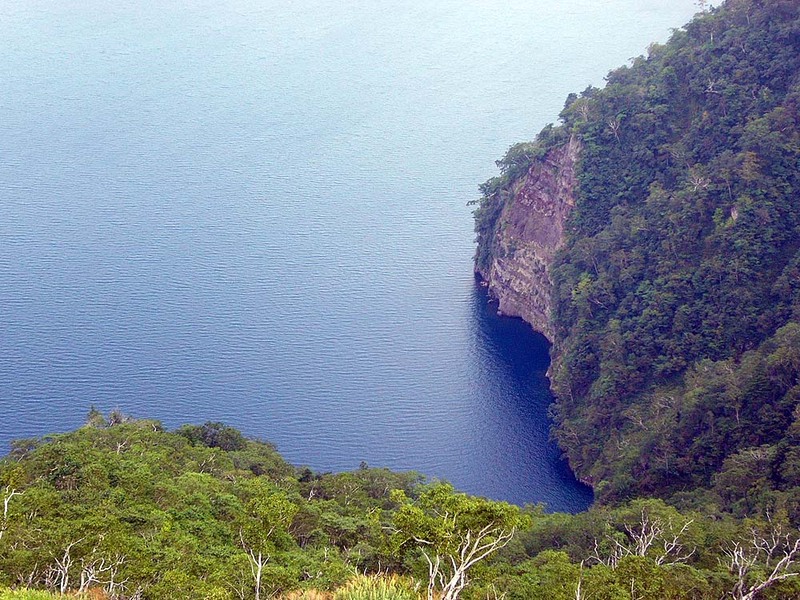 A scenery of the cape. Here stand a lot of monuments. 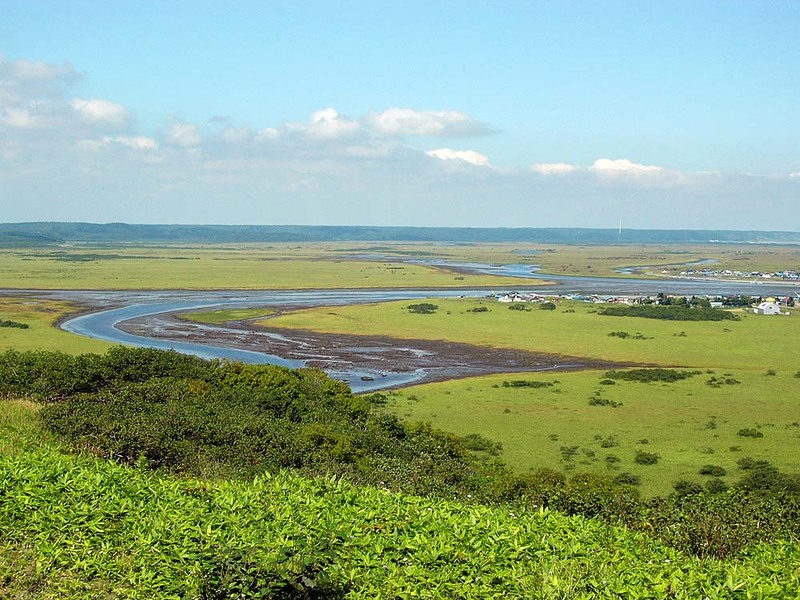 A scenery of surrounding area of the cape. 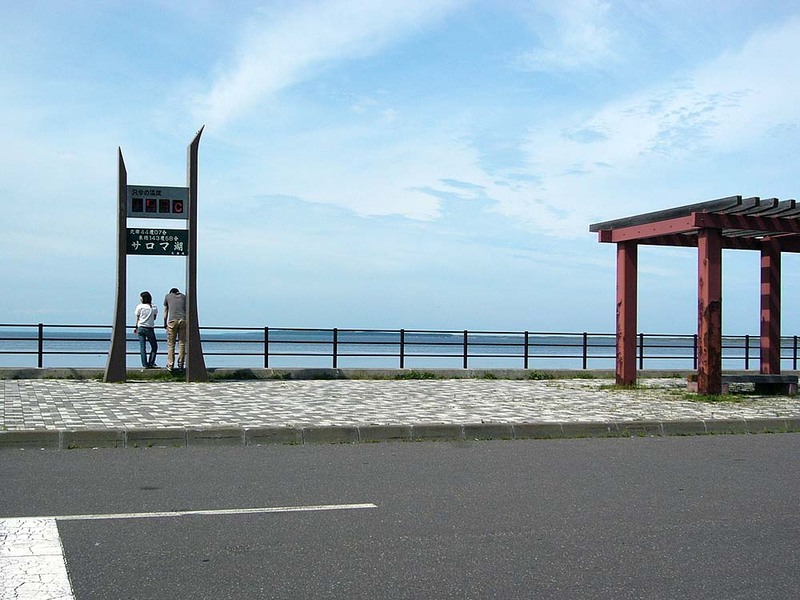 There are people's lives even in the easternmost point of Japan. 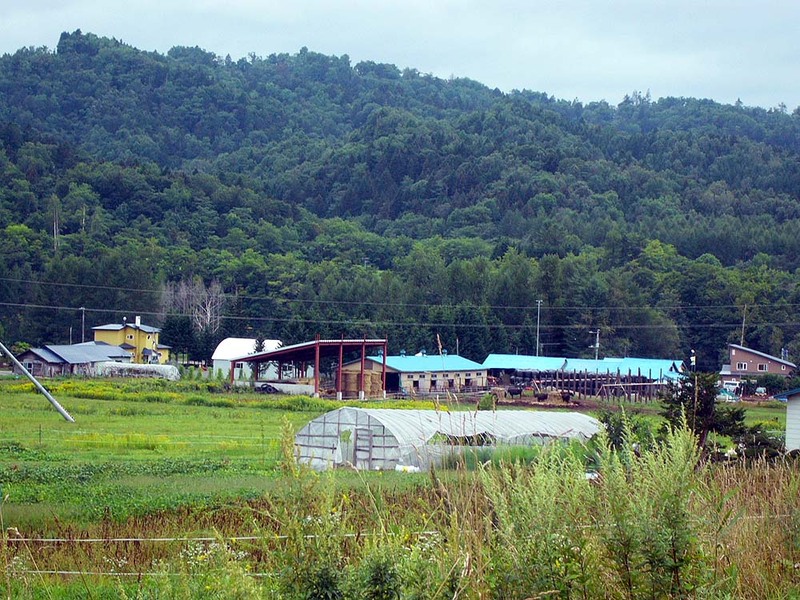 A ranch in Nemuro peninsula. The space is very large. The plain lasts infinitely. 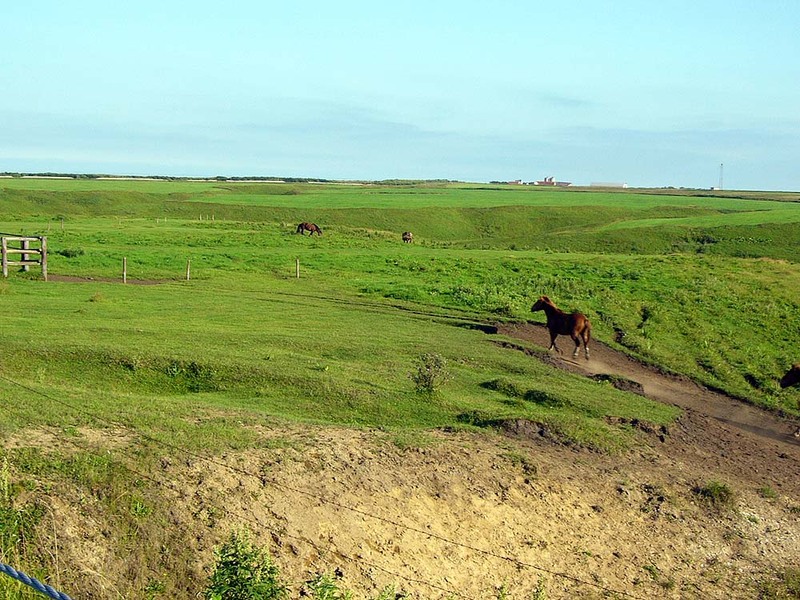 I found horses in the vast land, and took this photo. I felt the size of Hokkaido very large. The sky also looks big. A seemingly endless road in the vast plain. 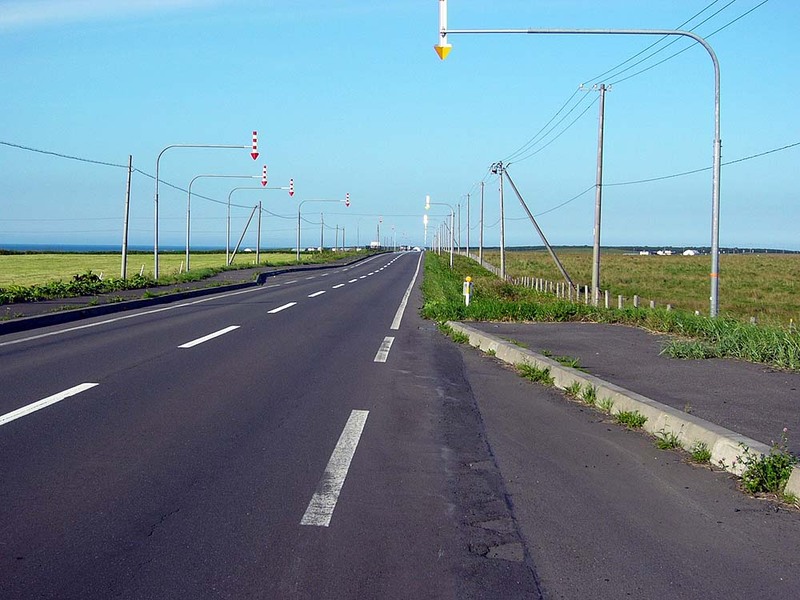 Instead of street lights, reflective plates with the down arrow marked are equipped along a road in Hokkaido. 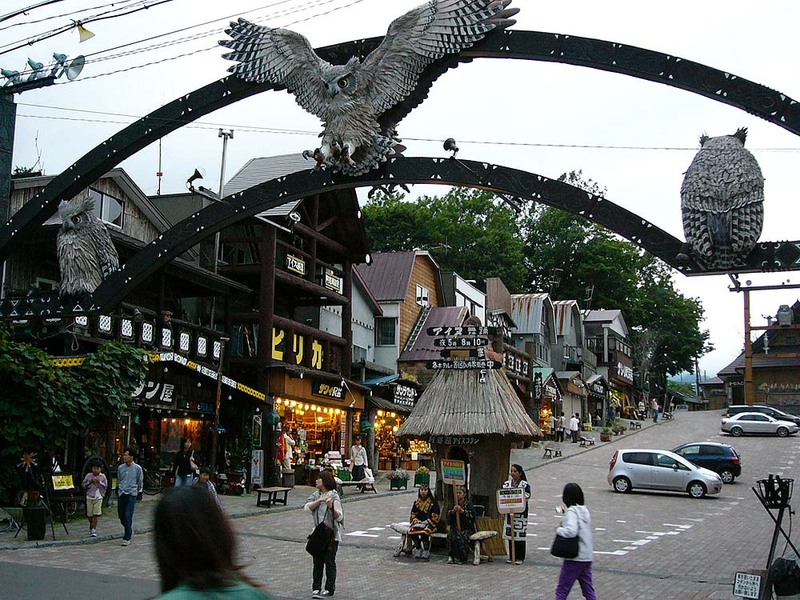 At night, they are illuminated by the headlights of cars. 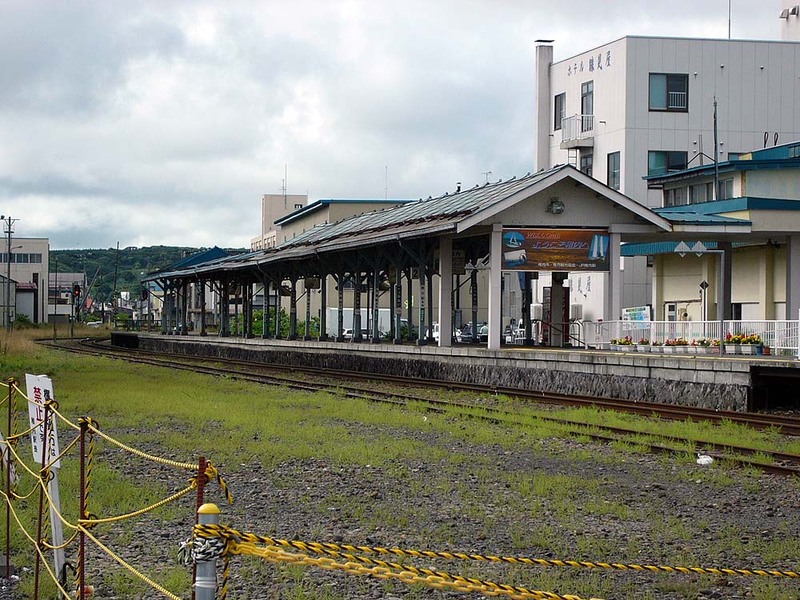 Abashiri Station. The small station is a good appearance. 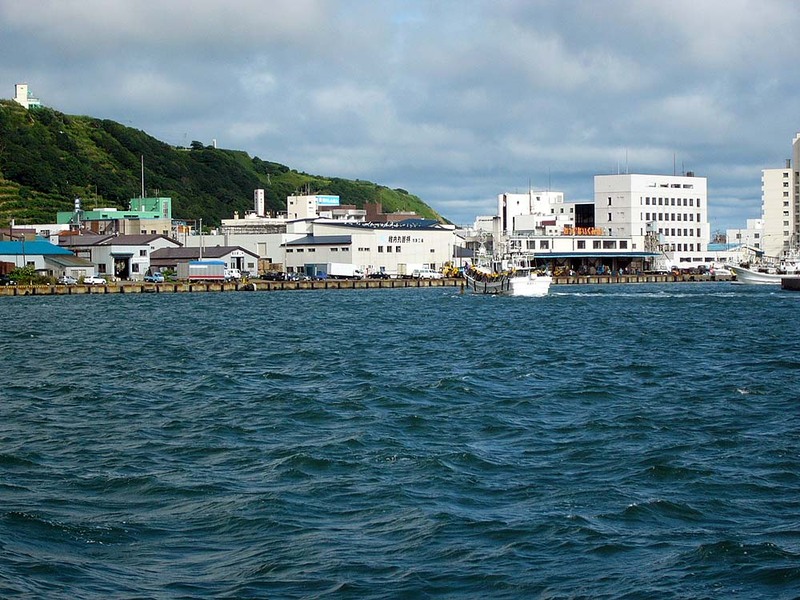 Abashiri port. 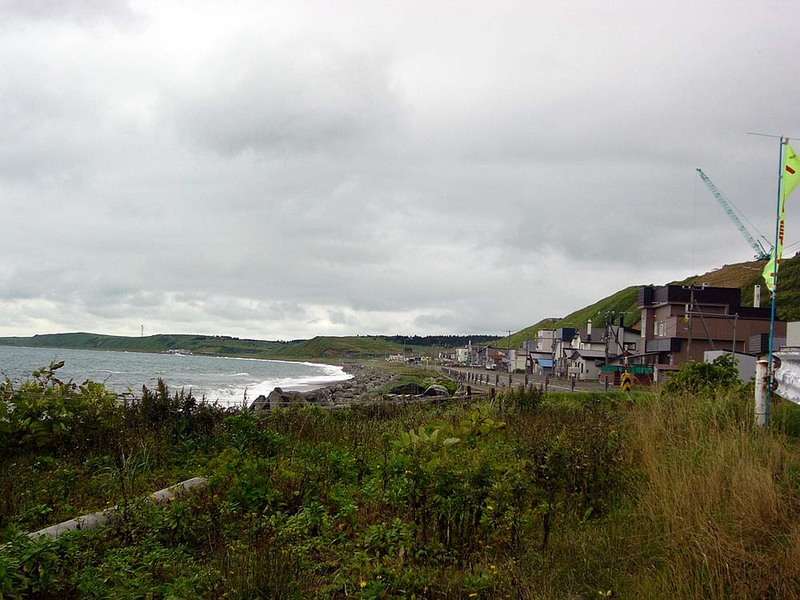 Okhotsk Sea is seen ahead of the port. 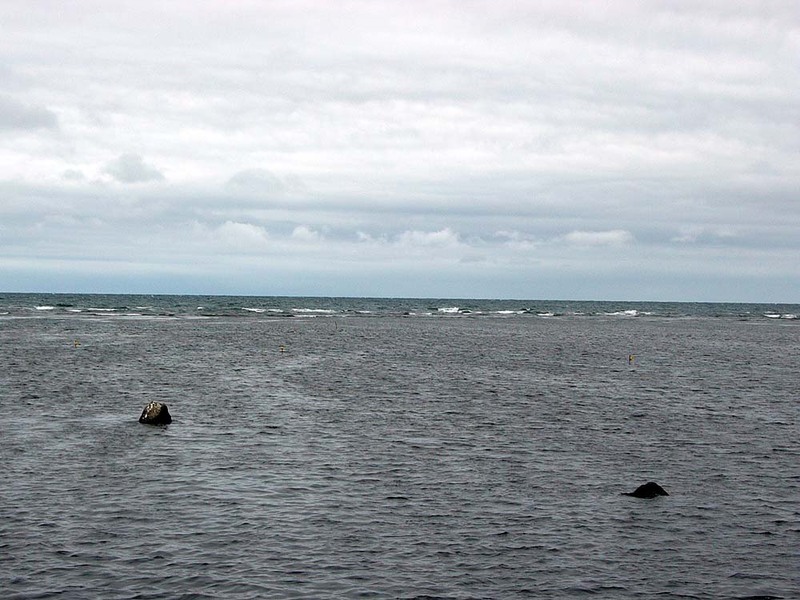 The sea seen from the road near a cape. 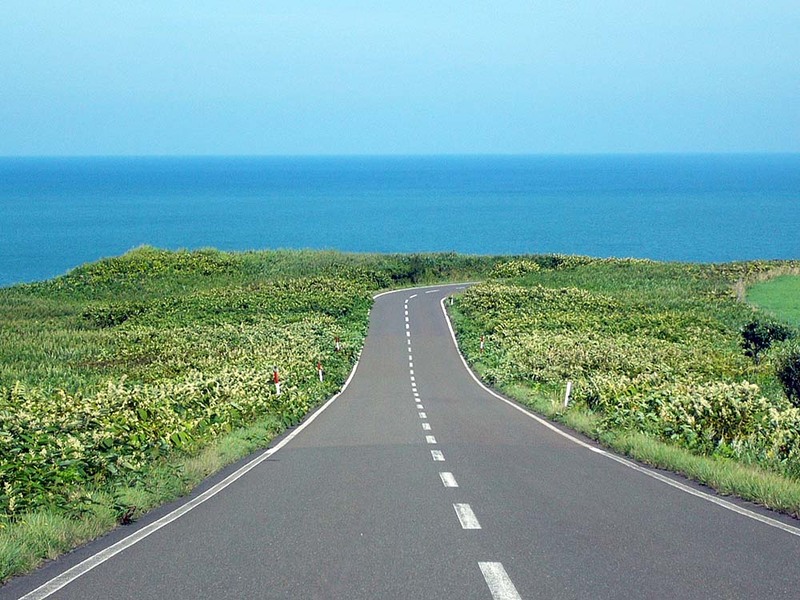 The blue sea, the land of green, and the car-free road make me feel I am in Hokkaido. 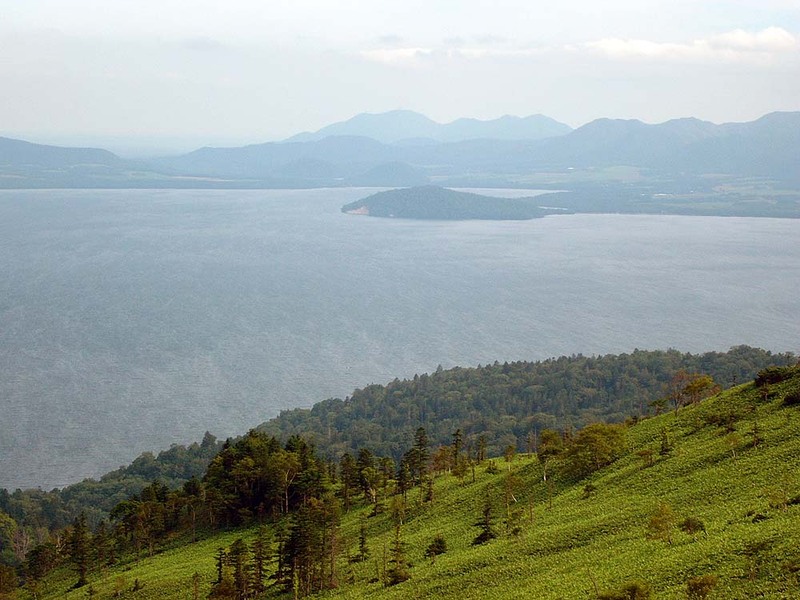 Okhotsk Sea seen from the cape. At a cape lighthouse. 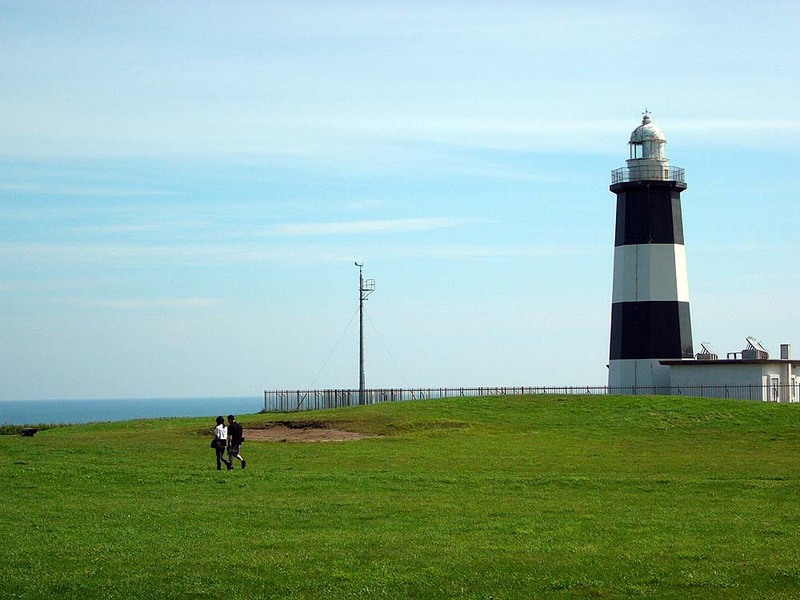 The lighthouse looks robust. 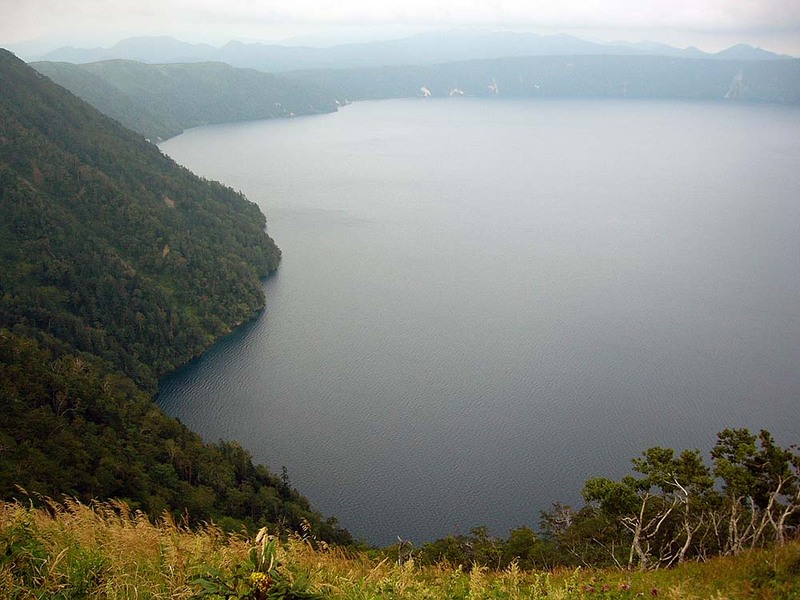 Lake Saromako. 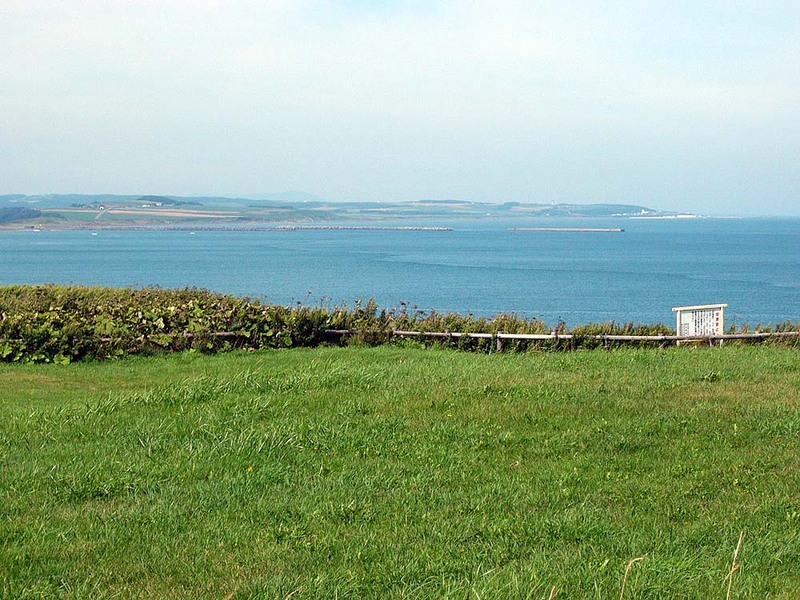 Since it is along the coastline, it looks like sea. 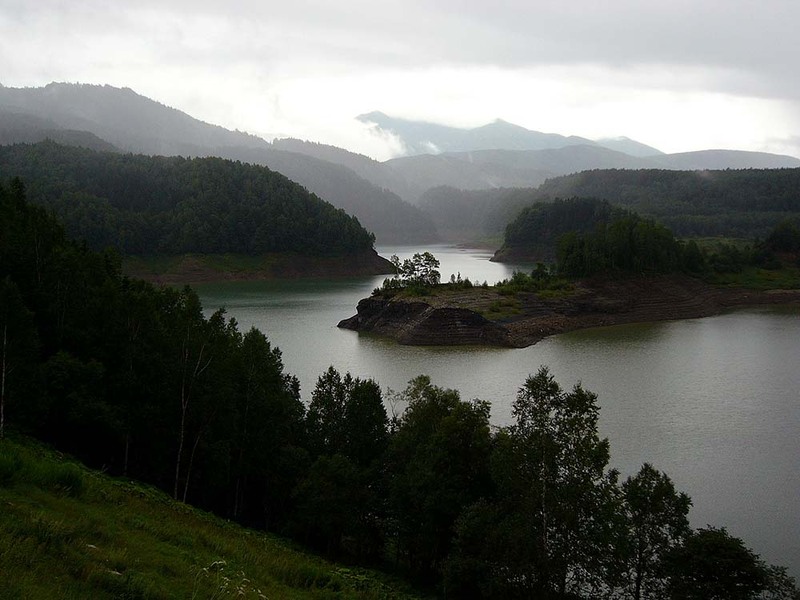 Lake Saromako. Around the lake is a forest. 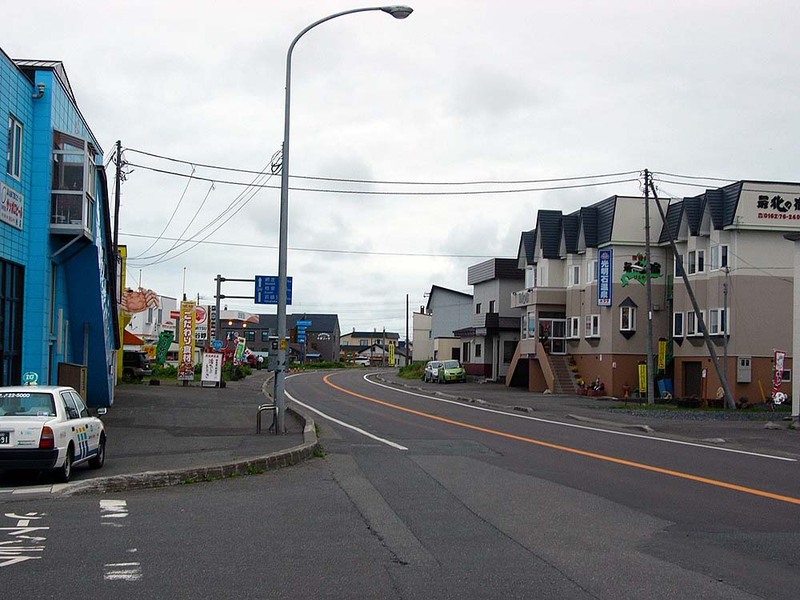 Shops I stopped on the way to Lake Kussharoko from Abashiri. Local products like seafood were being sold. 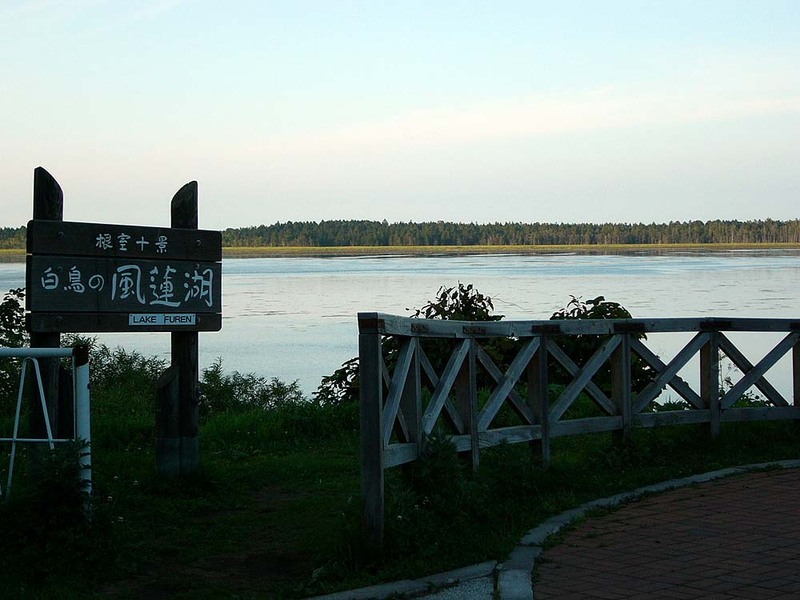 Lake Kussharoko. 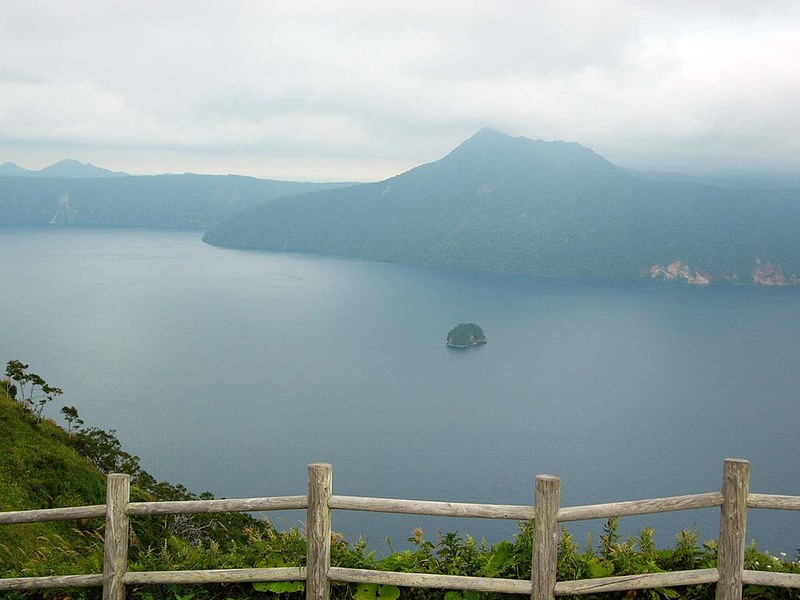 It is unique that there is a land whose form looks a mountain in the lake. The lake seen from a different angle. 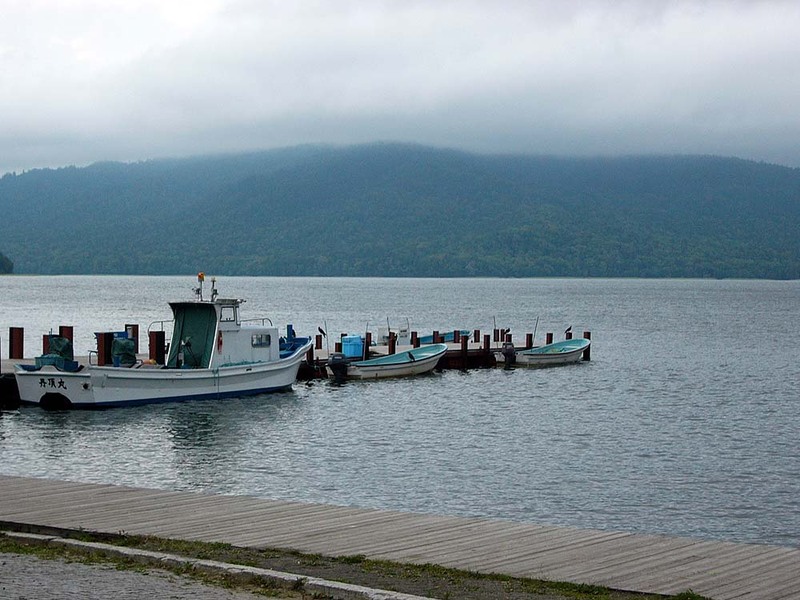 Lakeside of Lake Kussharoko. 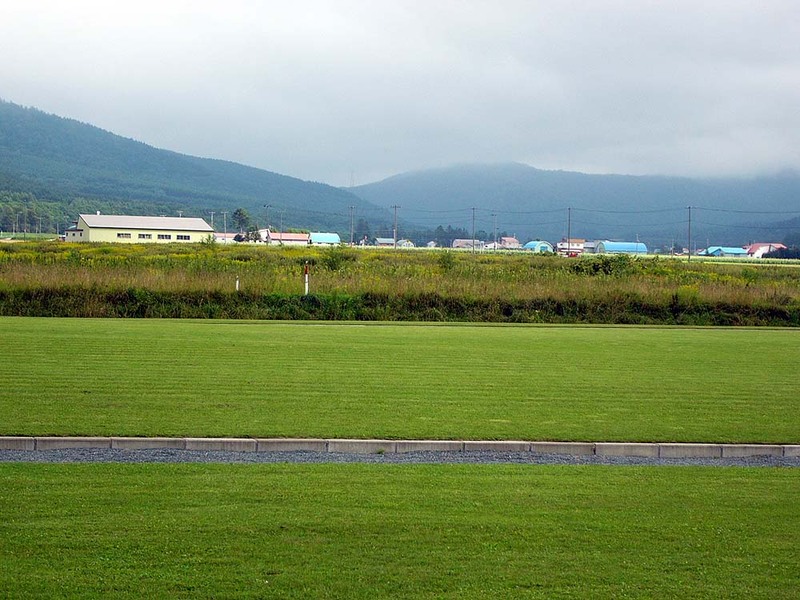 There is footbath field here. 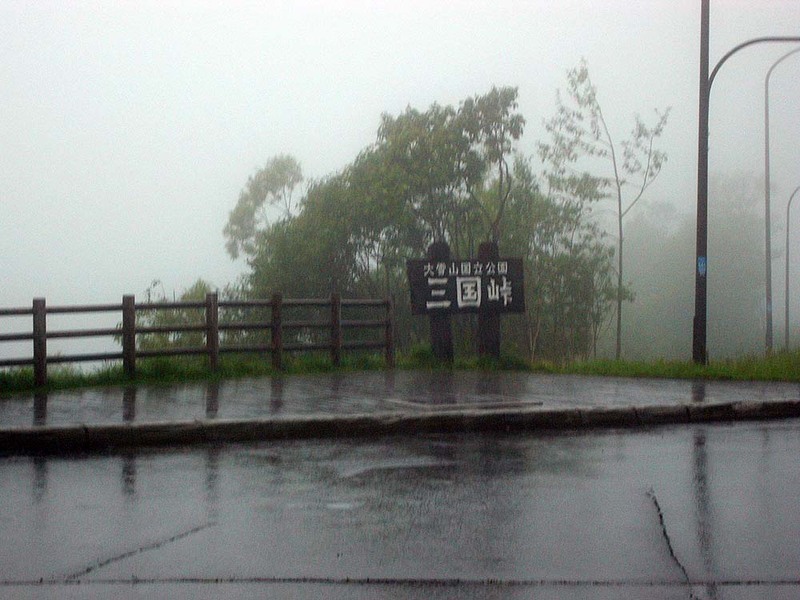 I felt the feeling of mystery of Lake Mashuko that existed in severe natural environment of deep fog and strong wind. 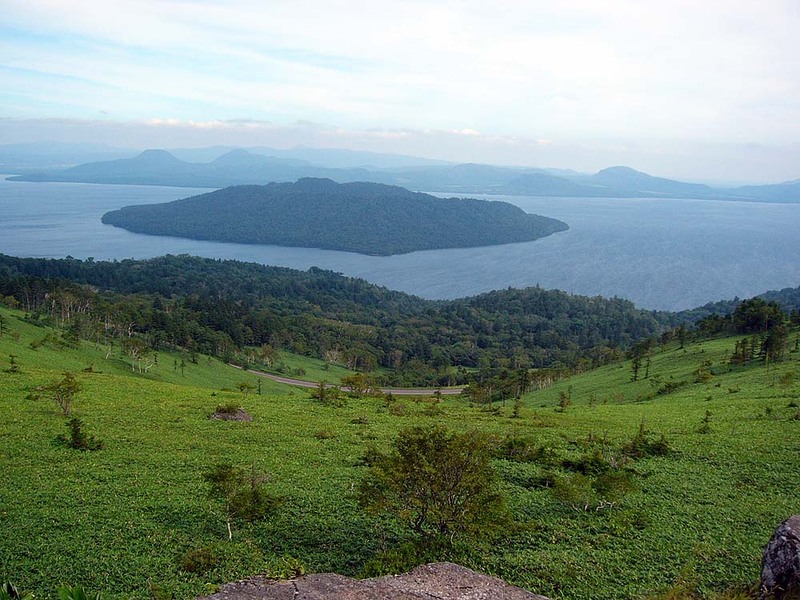 An observatory for Lake Mashuko. Mountains that appeared in the distance in the fog were also mysterious. It is mysterious that the color of the water is clear blue and that subtle lights are reflected. 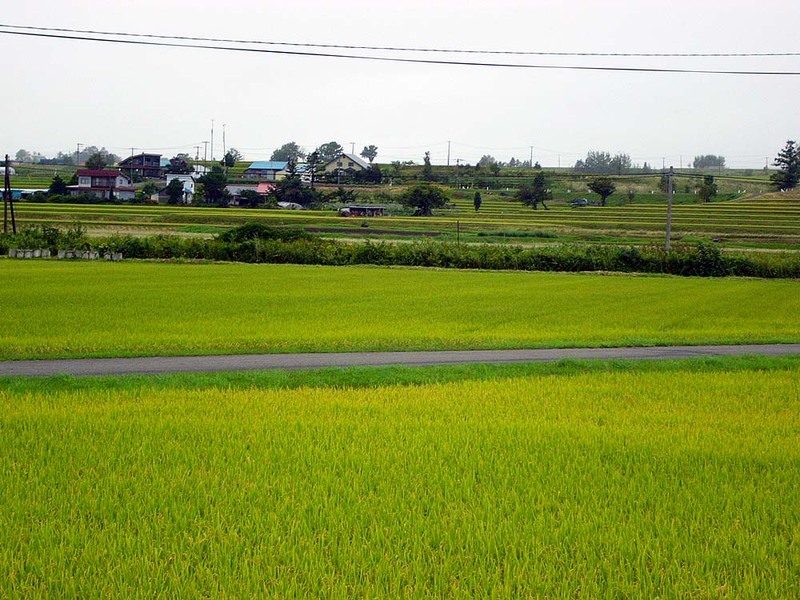 A scenery near Lake Akanko. 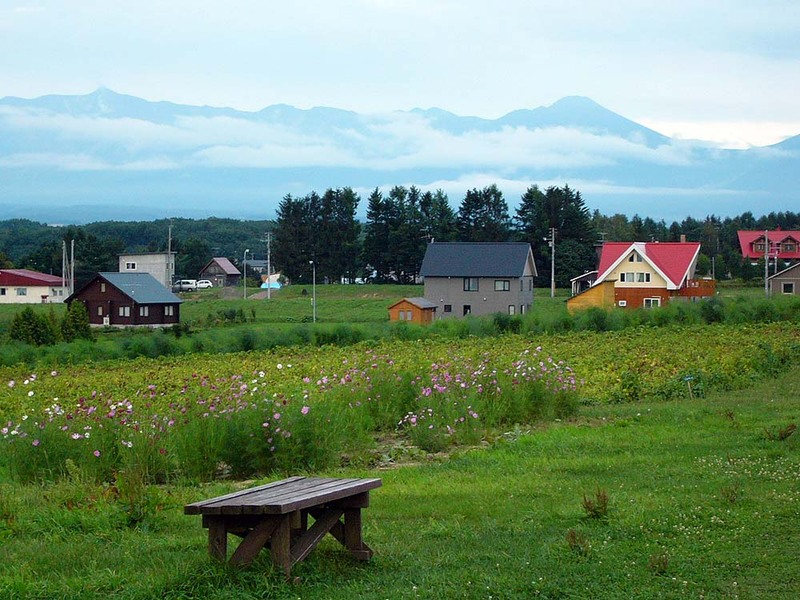 There is an Ainu village close to Lake Akanko. There is a fine gate at the entrance. 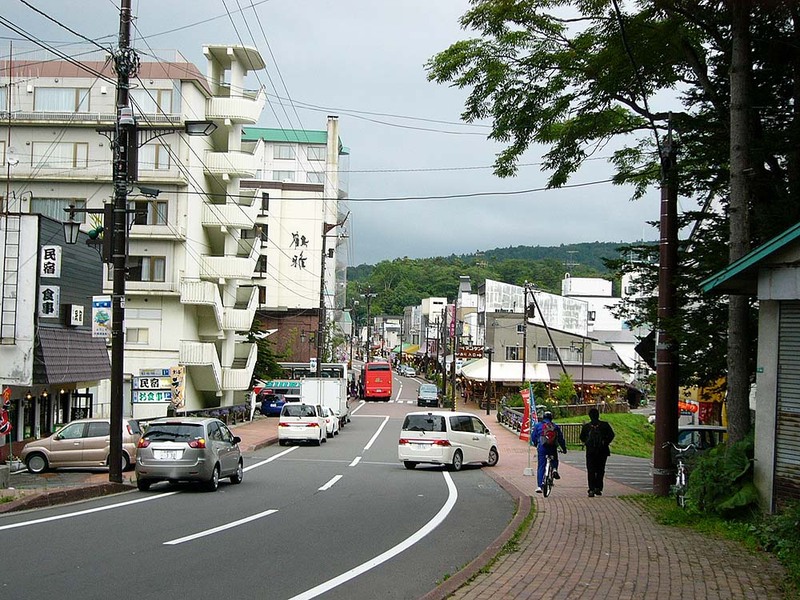 A view from Hidaka Road Station. 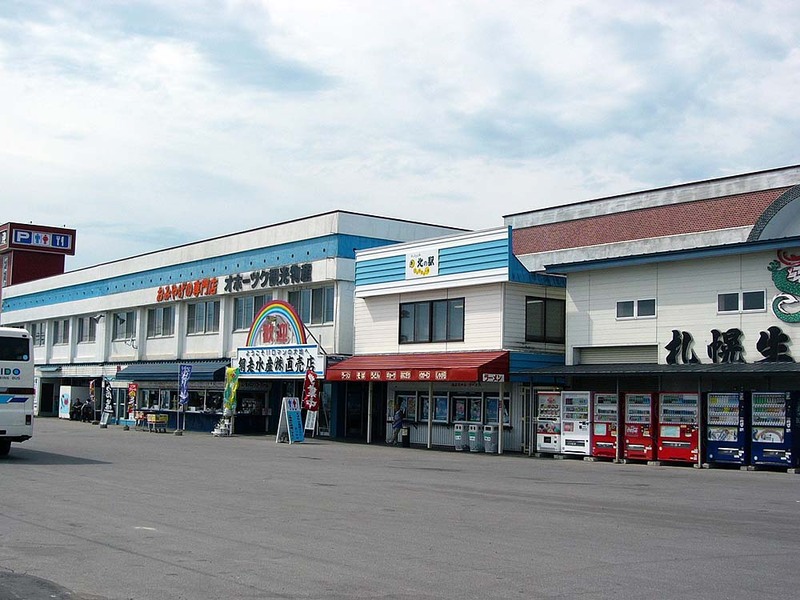 Tomamu Station in Tomamu region. 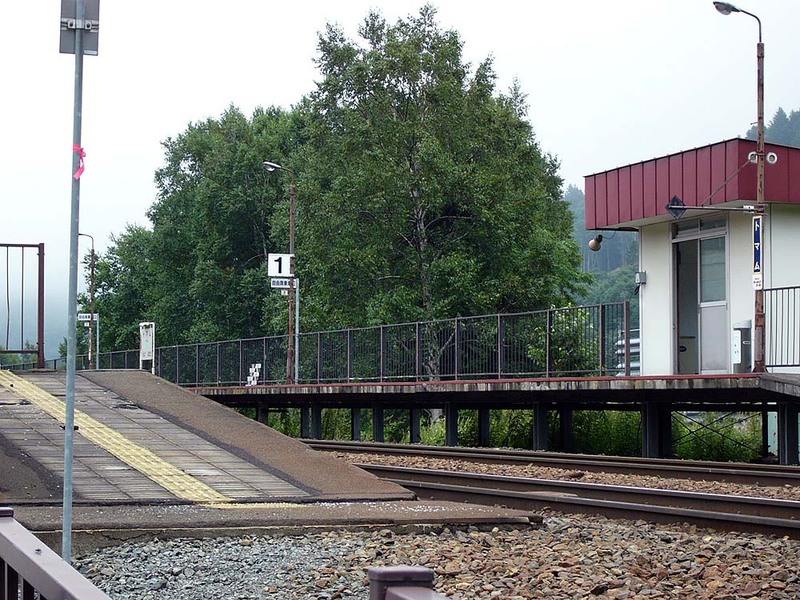 Tomamu Station platform. No people were there. 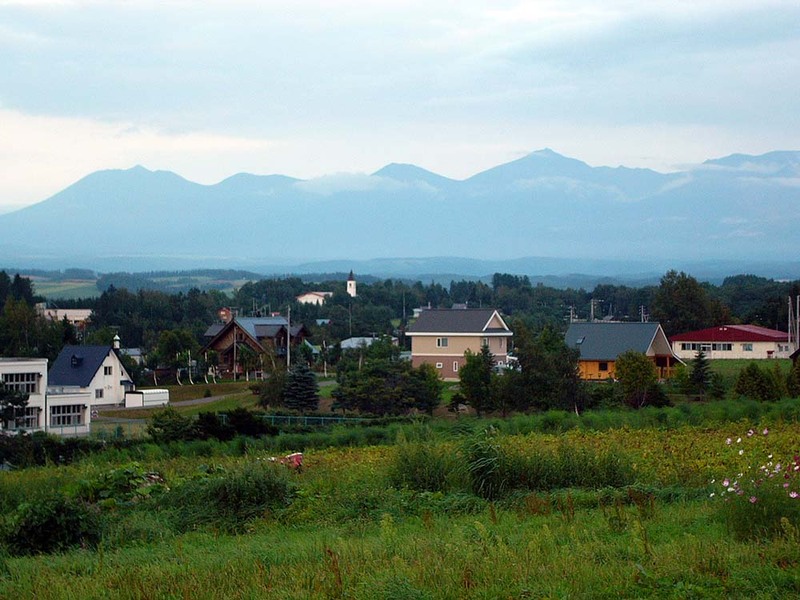 A view seen from the main road towards Furano. 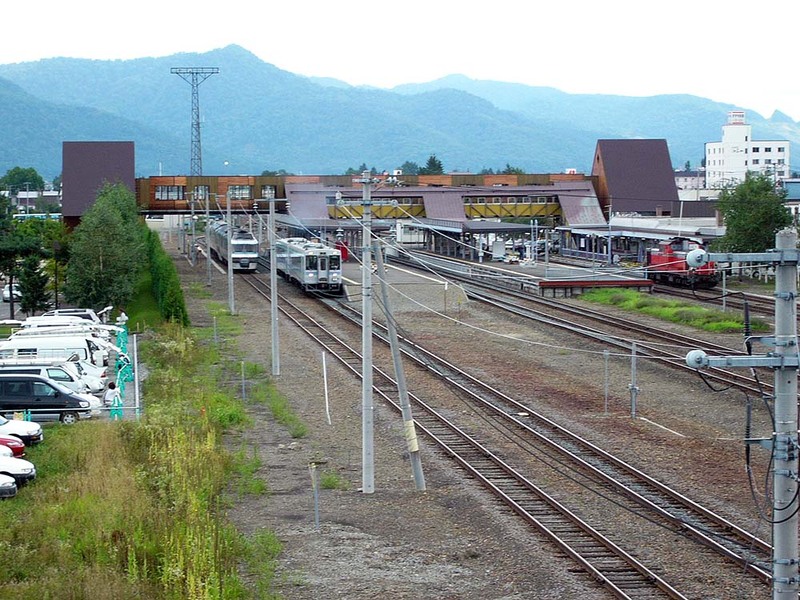 Furano Station. 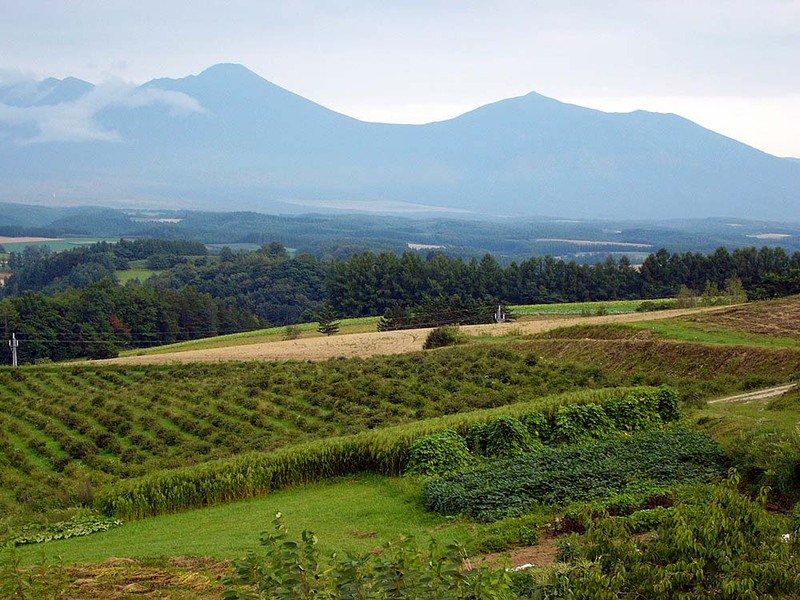 Furano is a basin surrounded by mountains. 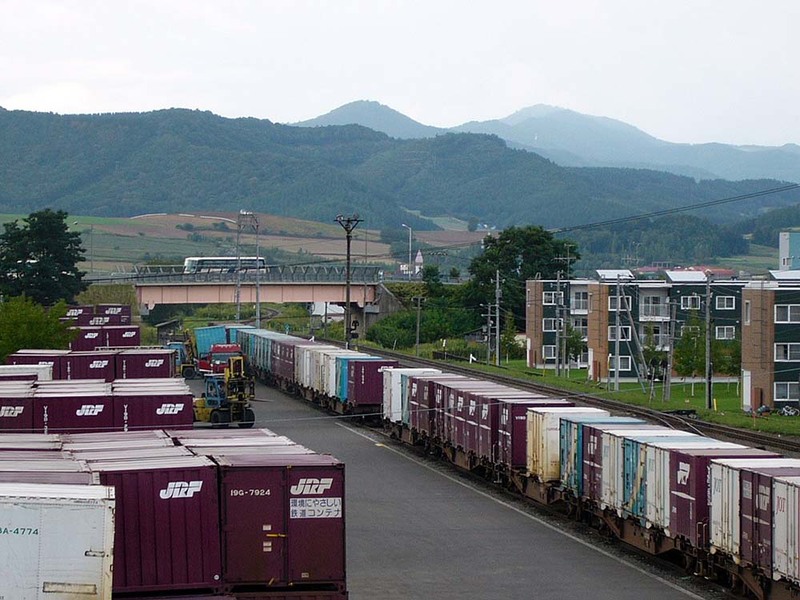 A container yard near Furano Station. 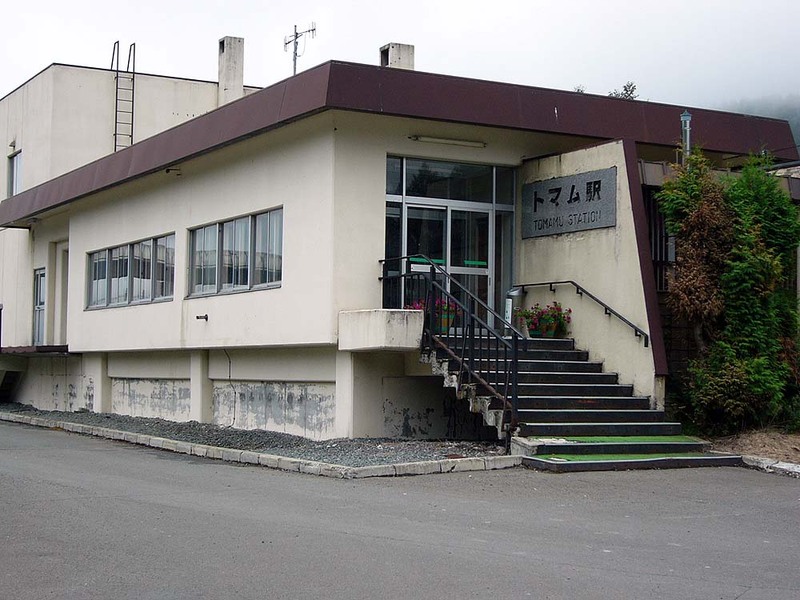 The station is a central station in the region. 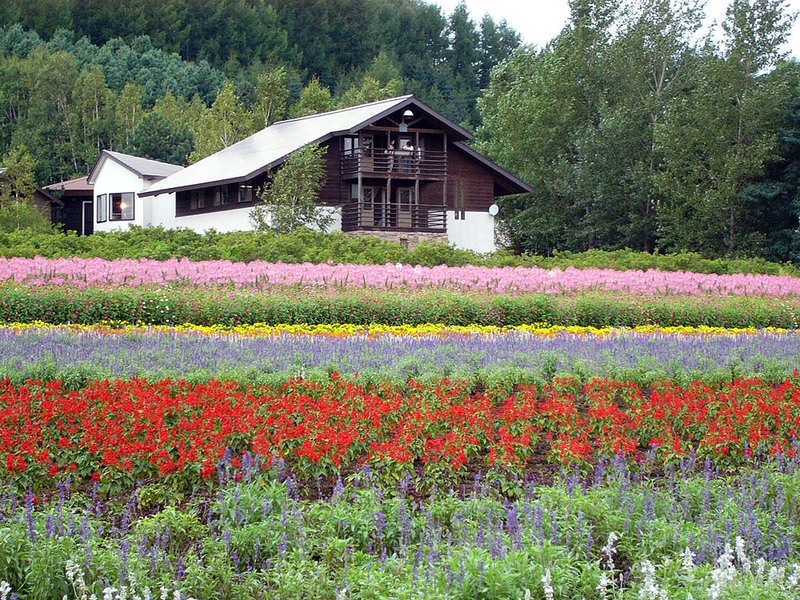 A flower garden found on the way to Asahikawa from Furano. The flower garden seen from another angle. 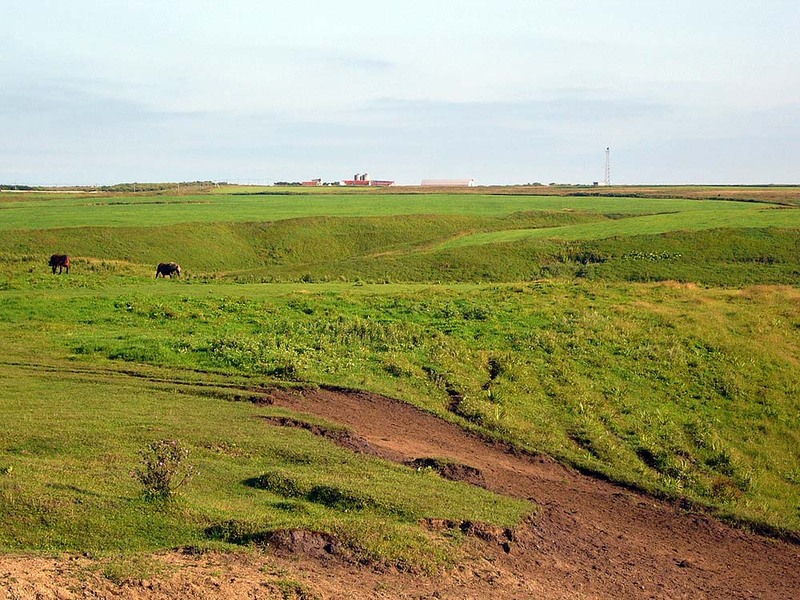 A hill landscape in the vicinity of Biei. 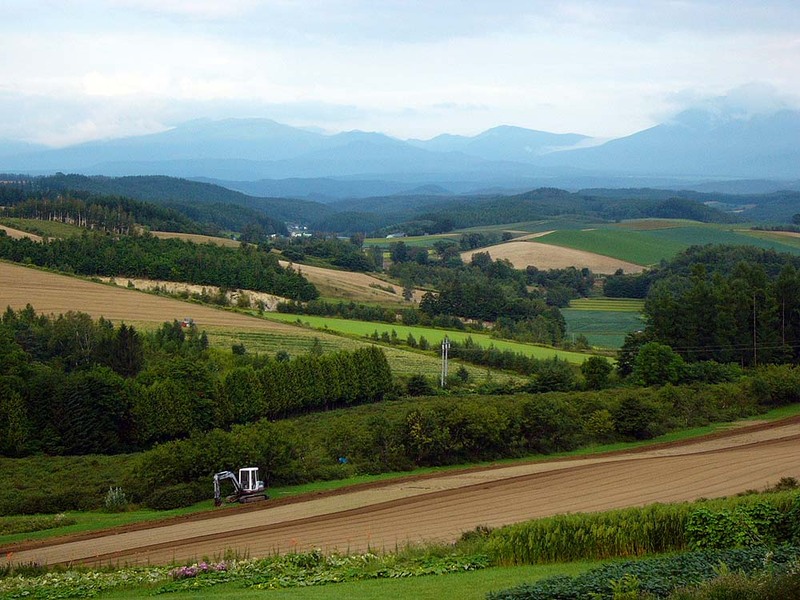 It is a typical one to feel Hokkaido. Hills with moderate up-and-down continues until the distant. 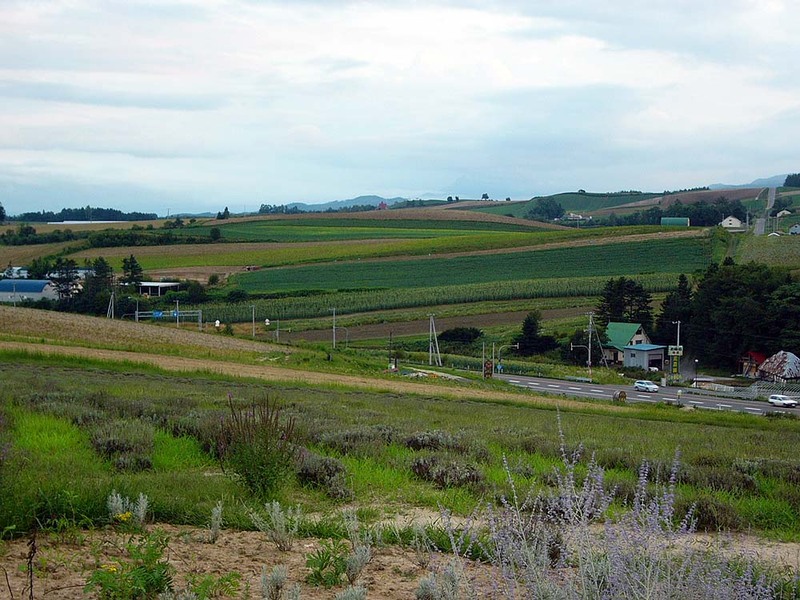 A hill landscape in Biei seen from the main road. Another view of the hills. 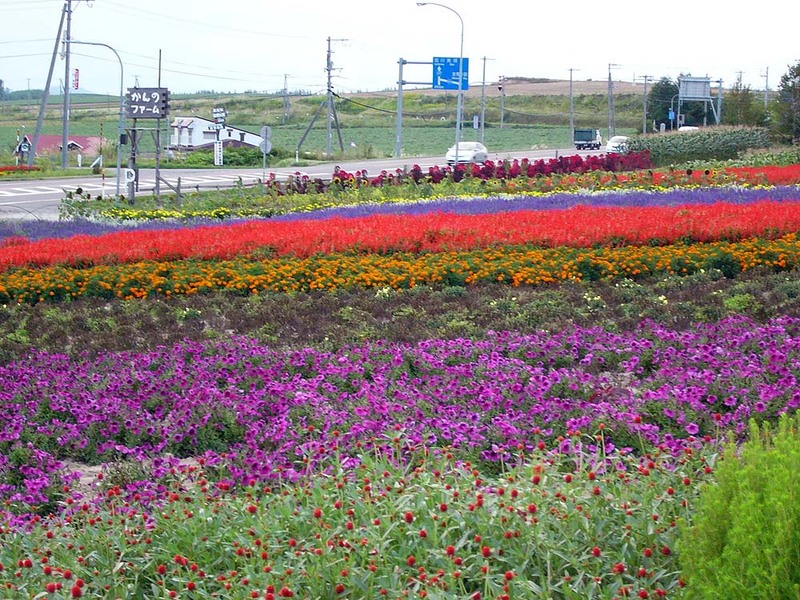 A flower farm along the main road. 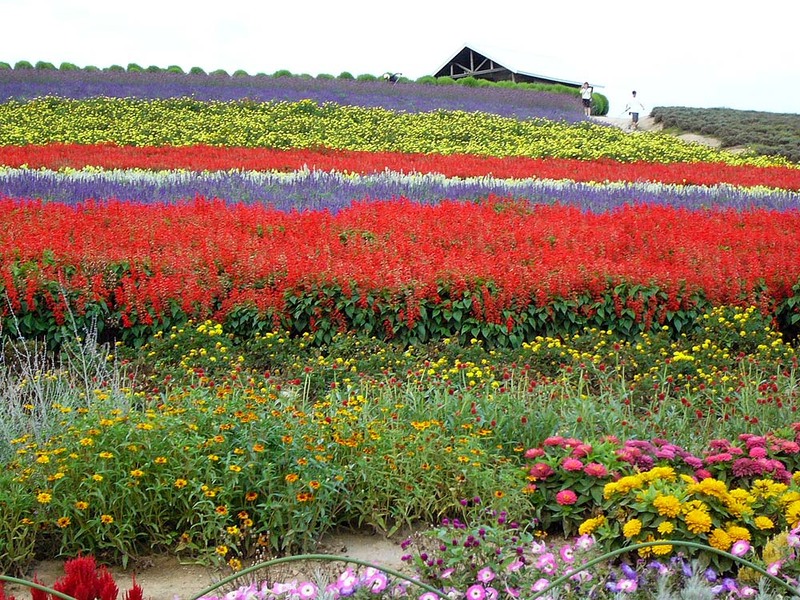 Color-coded flowers are beautiful. 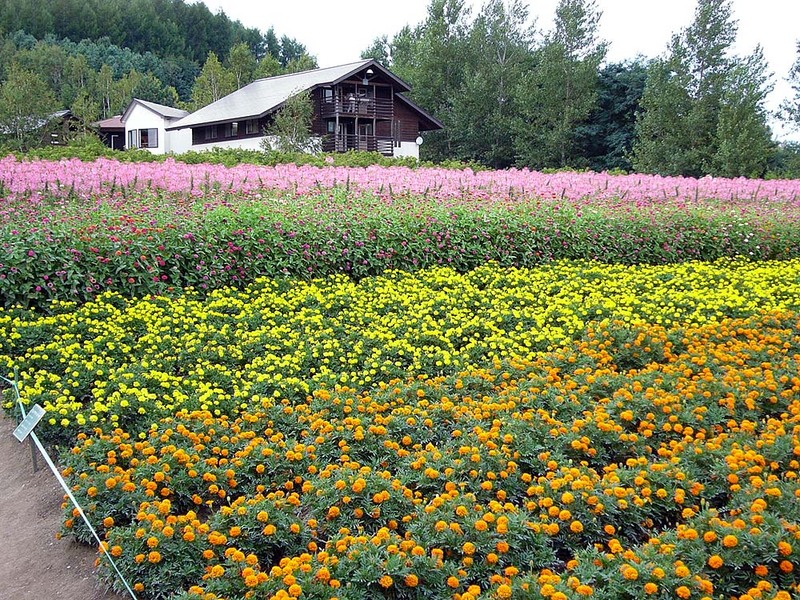 Flowers are planted on the gentle slope. The color of the flowers is vivid when looking up from below. 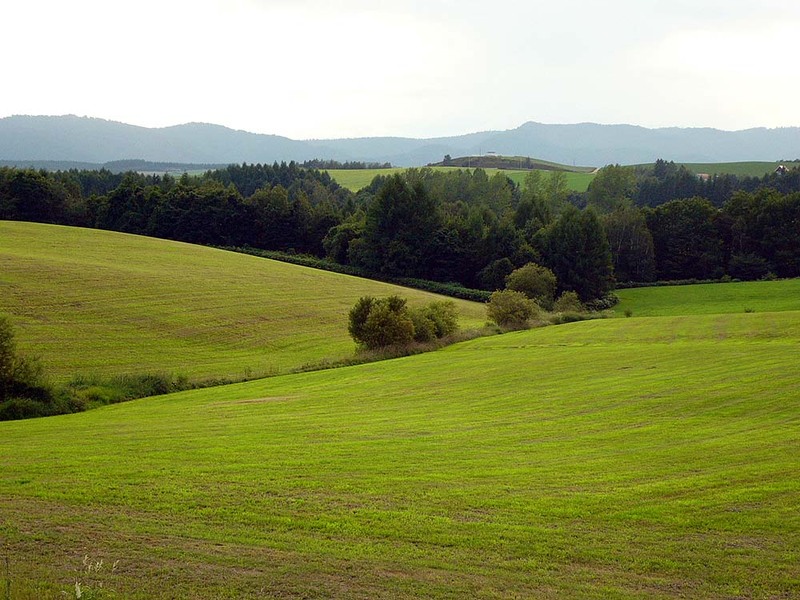 A landscape of hills in Biei. 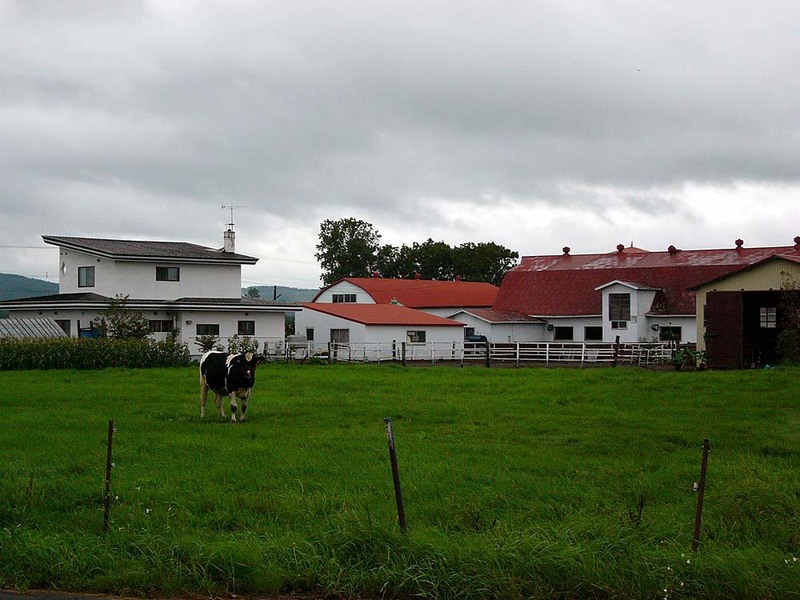 A countryside scenery in Biei. 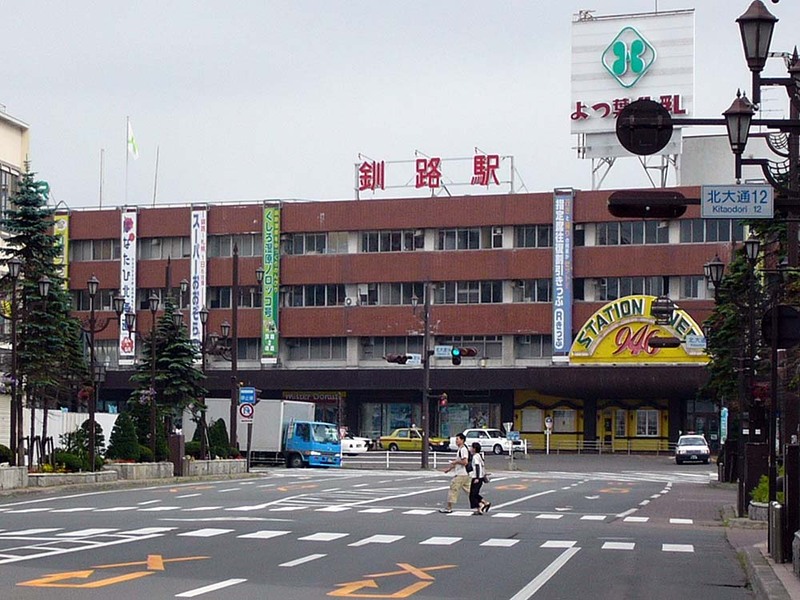 Asahikawa Station. 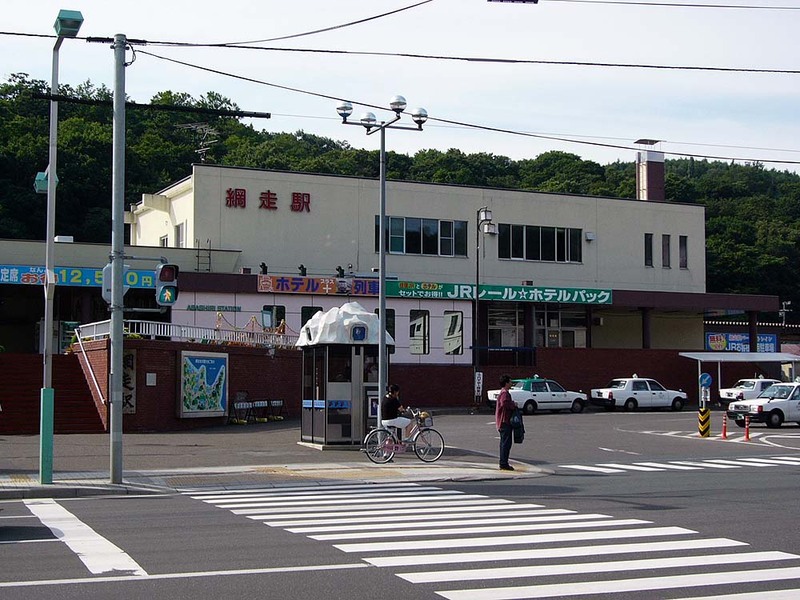 It is a big station. 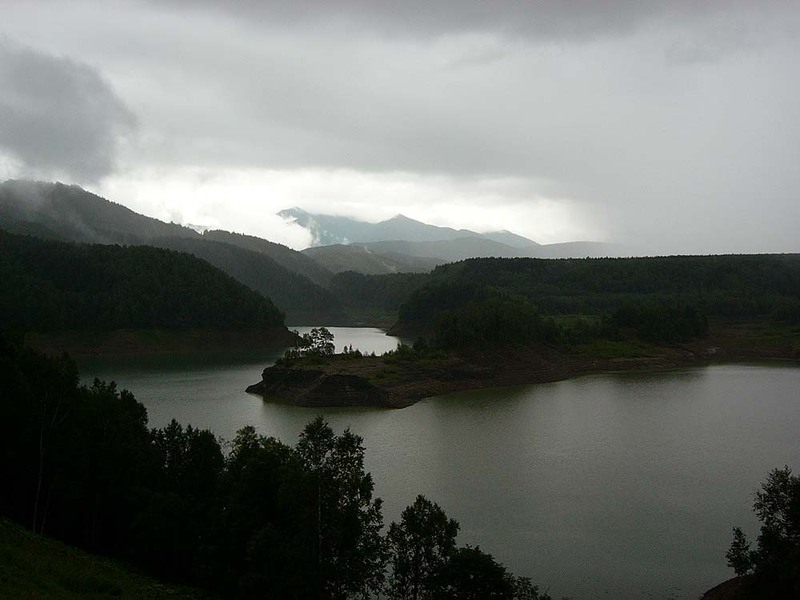 The dam lake of Mt. Daisetsuzan. If you run through Mt. 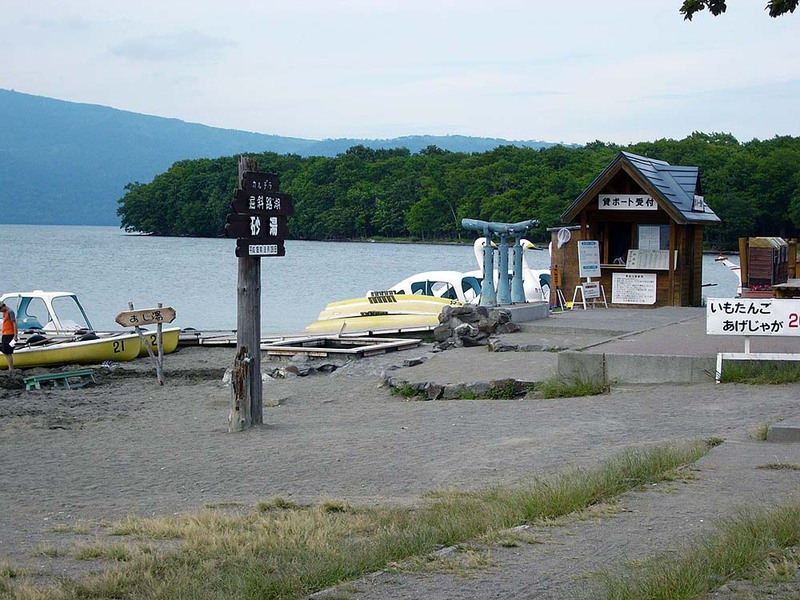 Daisetsuzan, space is suddenly opened and the lake appears. The dam lake has a complex form. 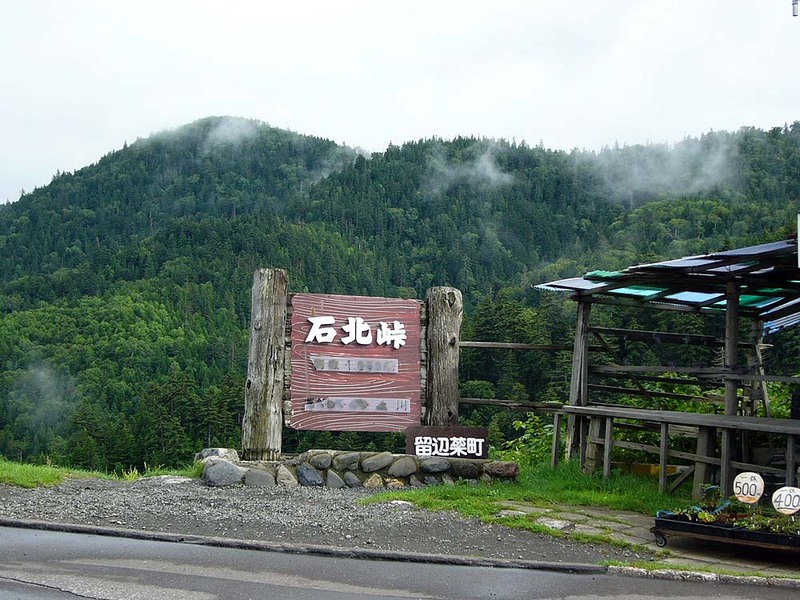 Mikuni Pass of Mt. Daisetsuzan. It was caught in the heavy rain at that time. 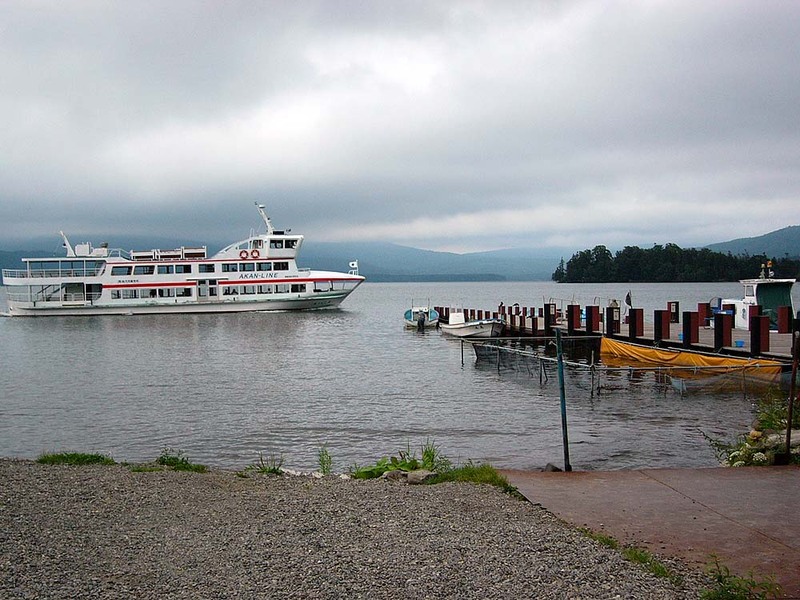 A scene in Mt. Daisetsuzan. 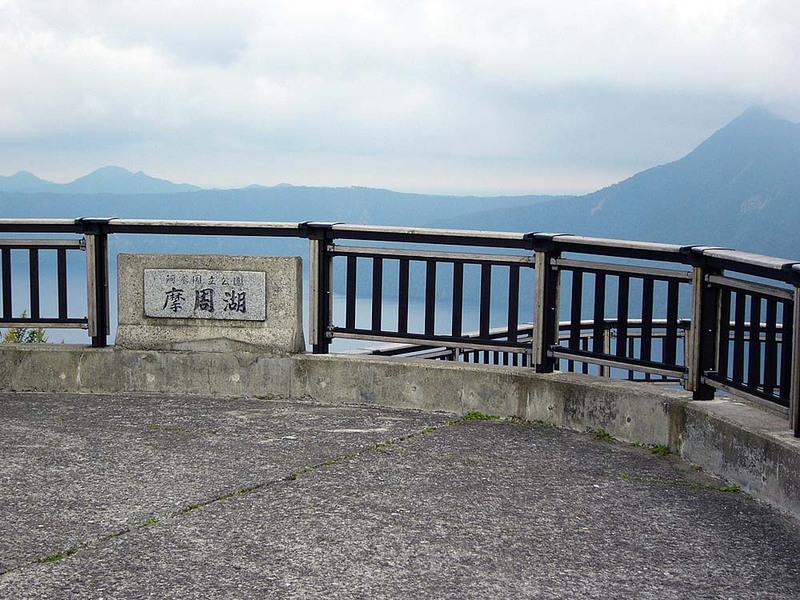 Sekihoku Pass in Mt. Daisetsuzan. 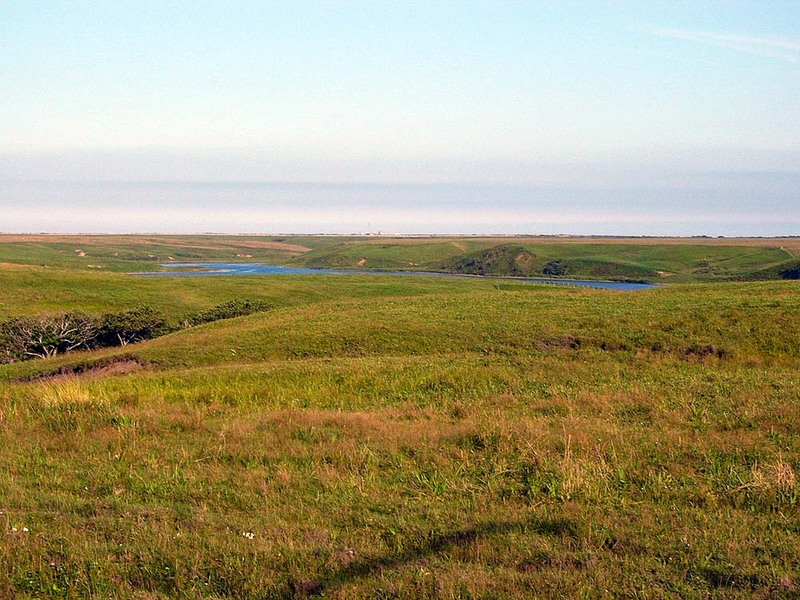 A grassy plain in the inland side of Okhotsk Sea coastline. 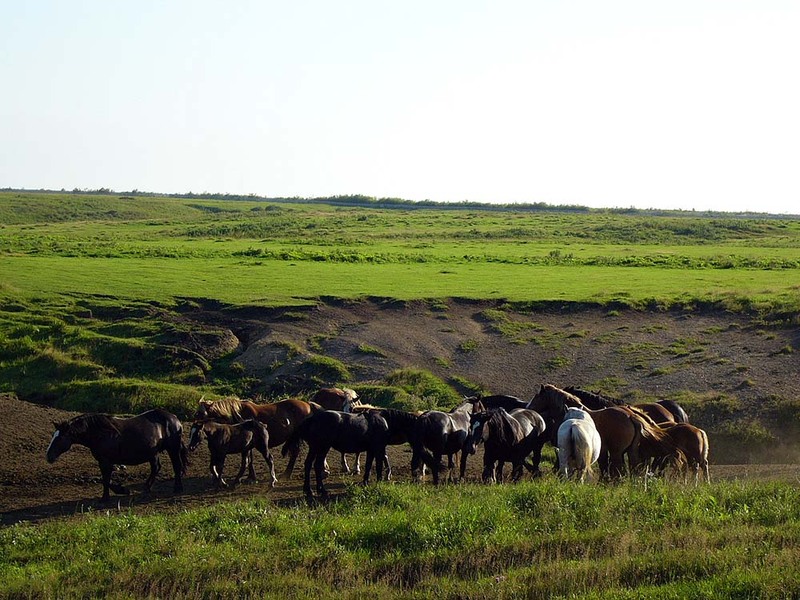 A ranch near Okhotsk coastal road. 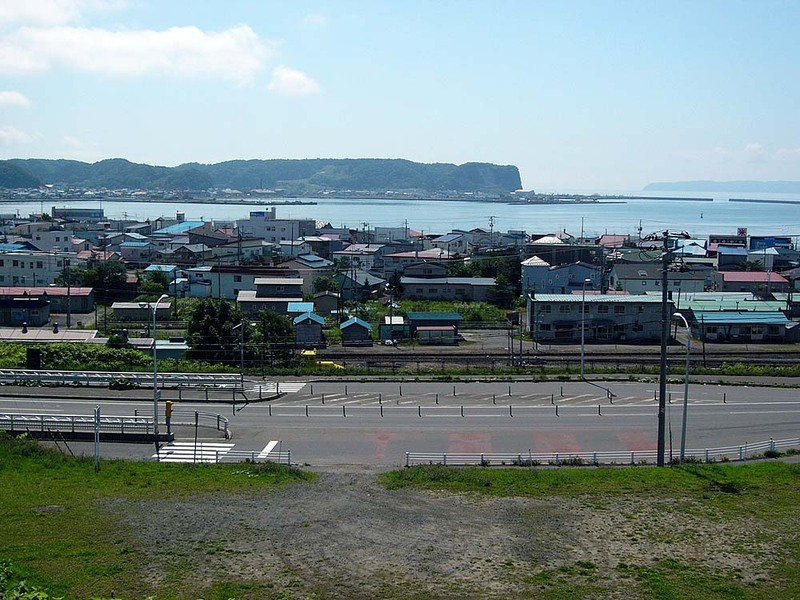 Wakkanai port. 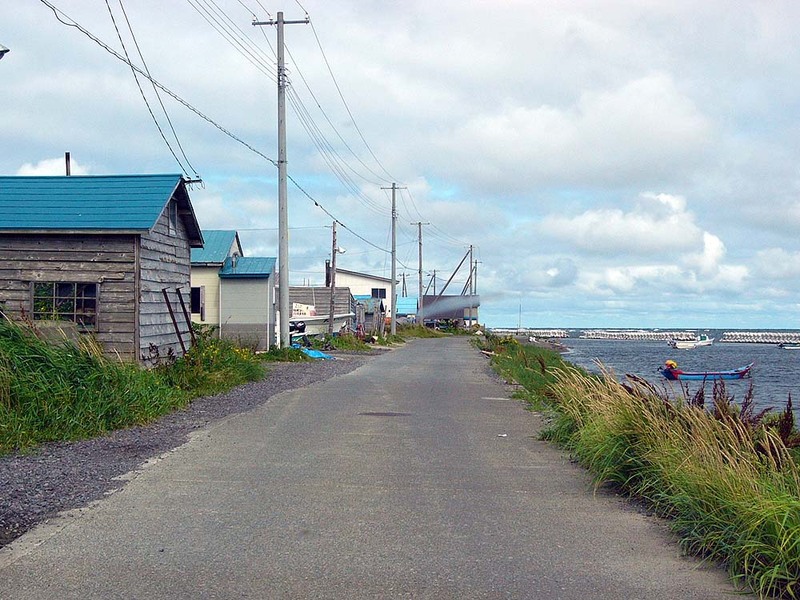 It is the northernmost port. The color of the sea is deep blue. 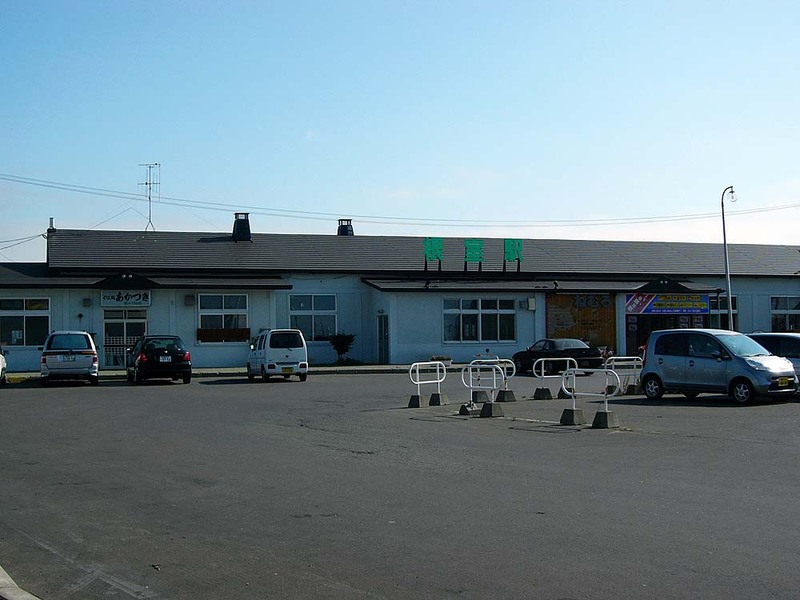 Wakkanai Station. 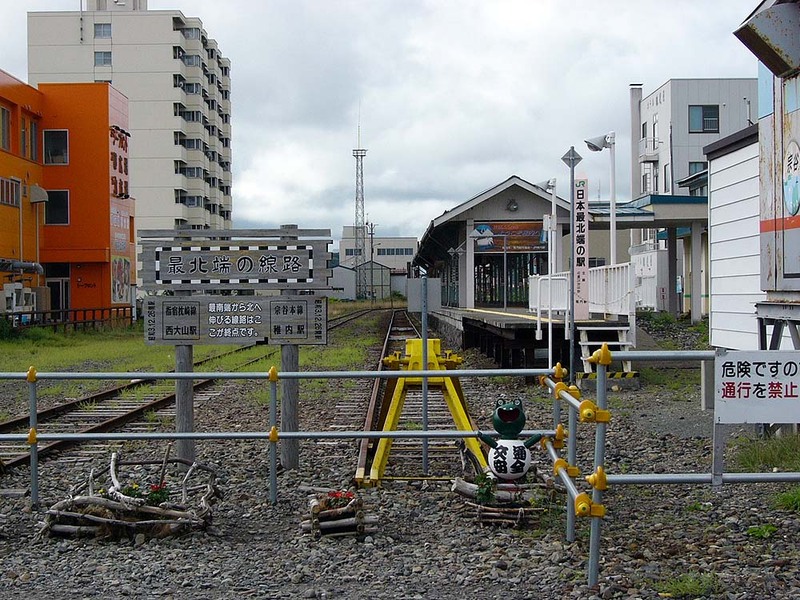 It is the northernmost station in Japan. This place is just the north tip of rail. 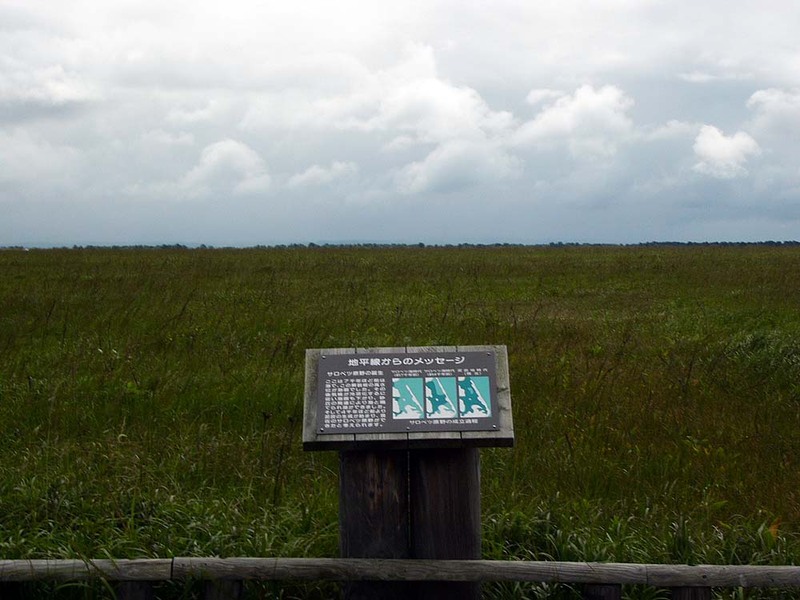 The signboard indicating the northernmost stands. Wakkanai Station platform. It is old-fashioned in the form. 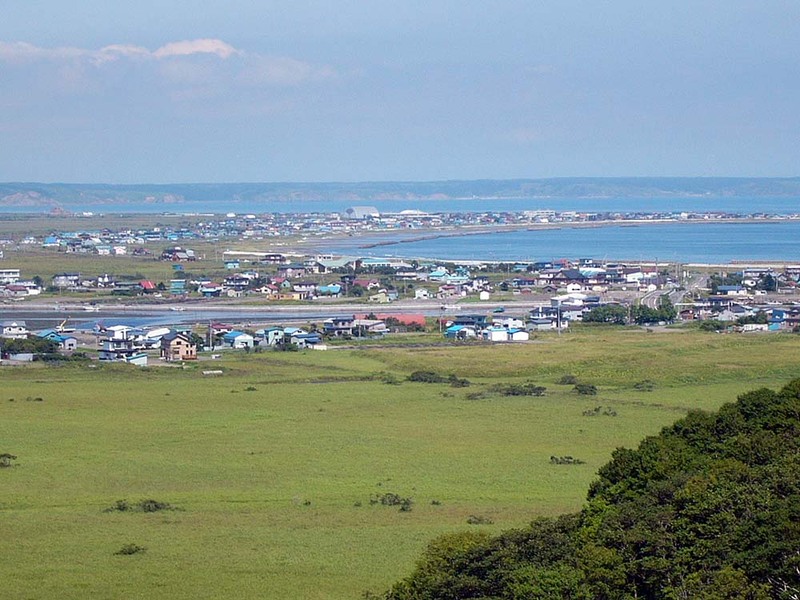 A landscape of the coastline west of Wakkanai. 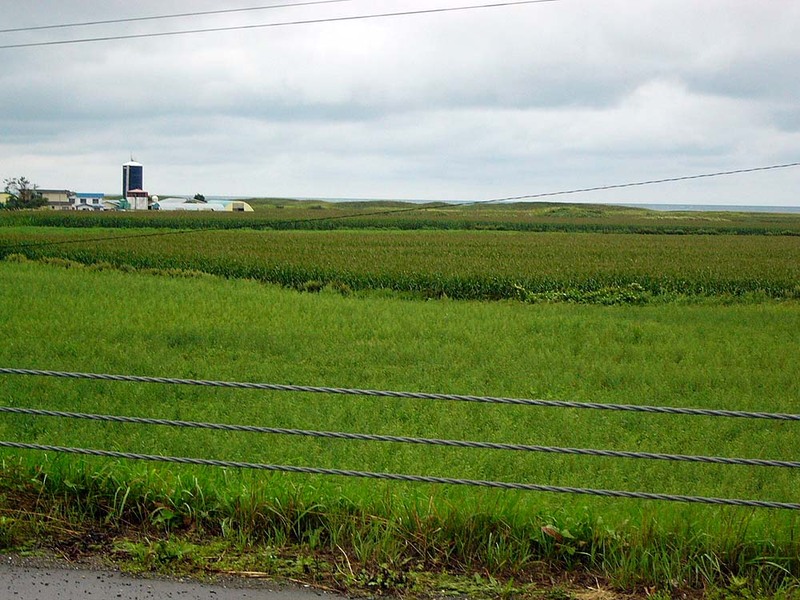 Cape Noshappu west of Wakkanai. 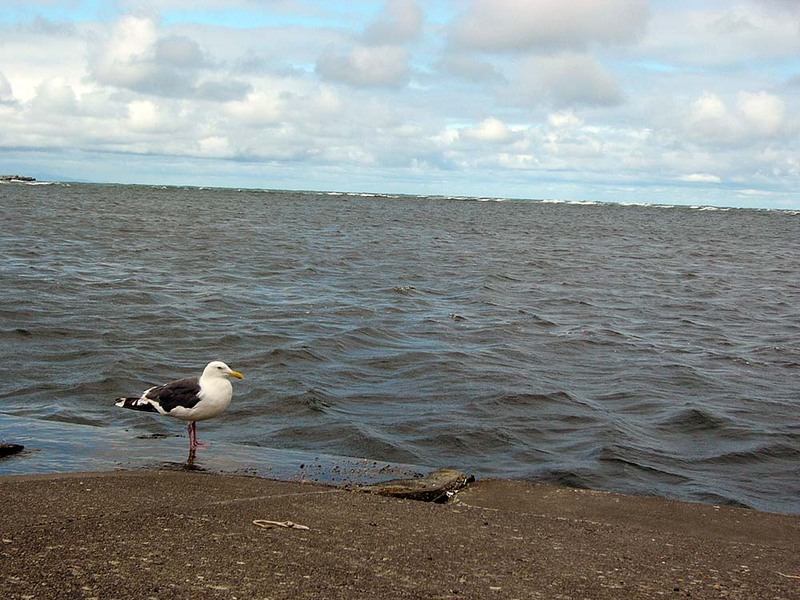 Just one black-tailed gull took a rest at the time. 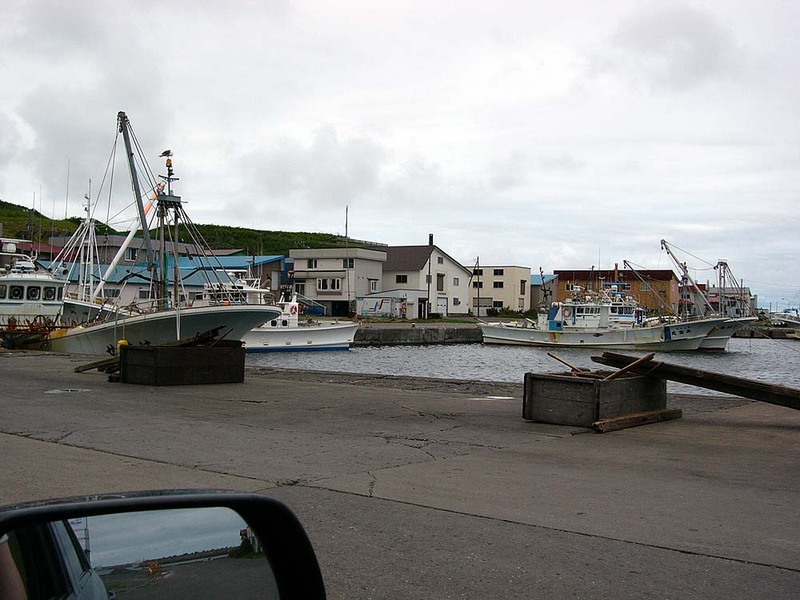 A fishing port in the vicinity of Wakkanai. A coastline scenery a little southeast of Wakkanai. 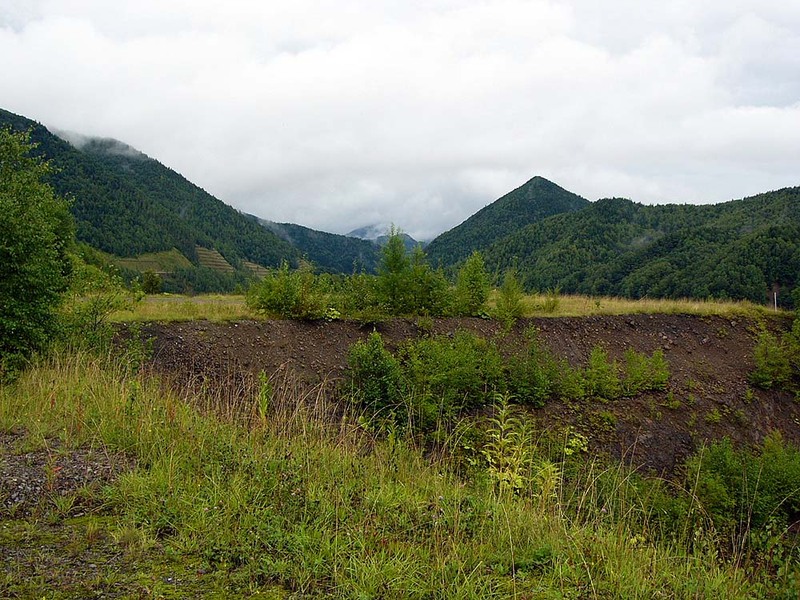 Sarobetsu wilderness scenery, southwest of Wakkanai. 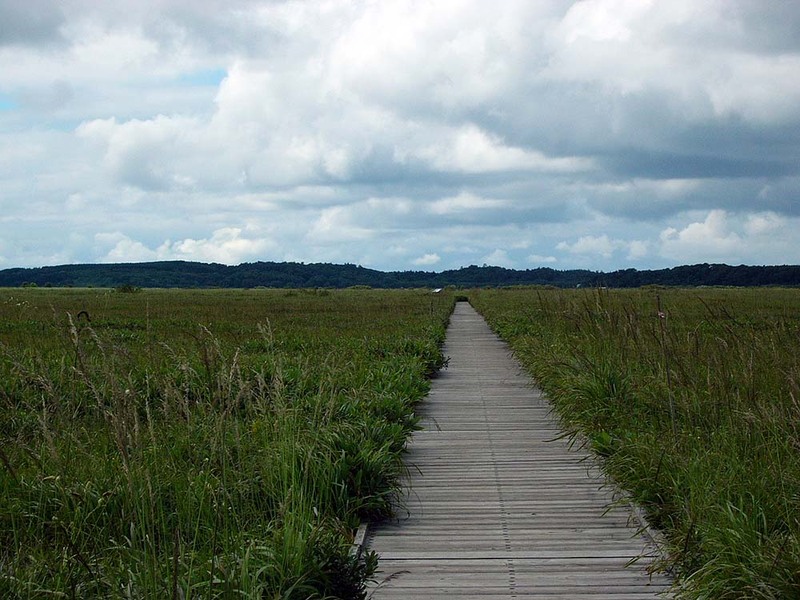 There is a nature park in Sarobetsu wilderness. It has a exhibition room. 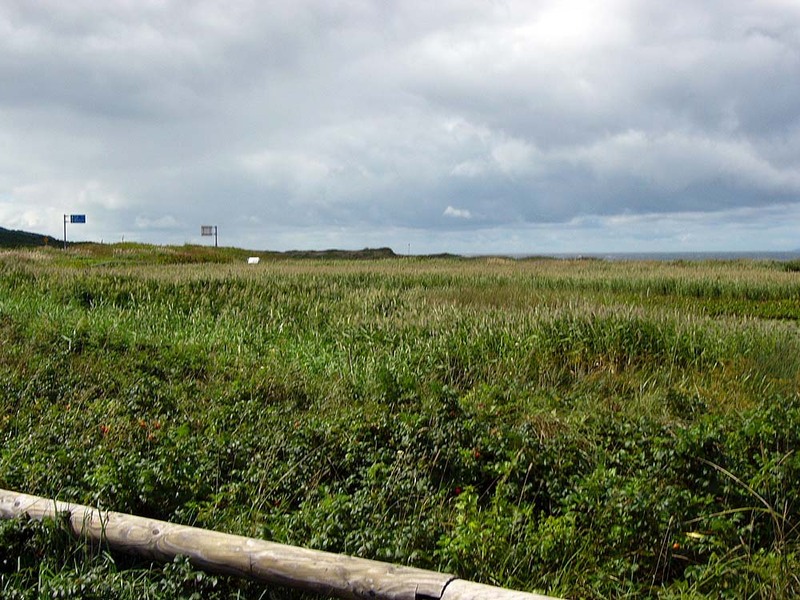 A landscape seen from the park. The park seen from the boardwalk. 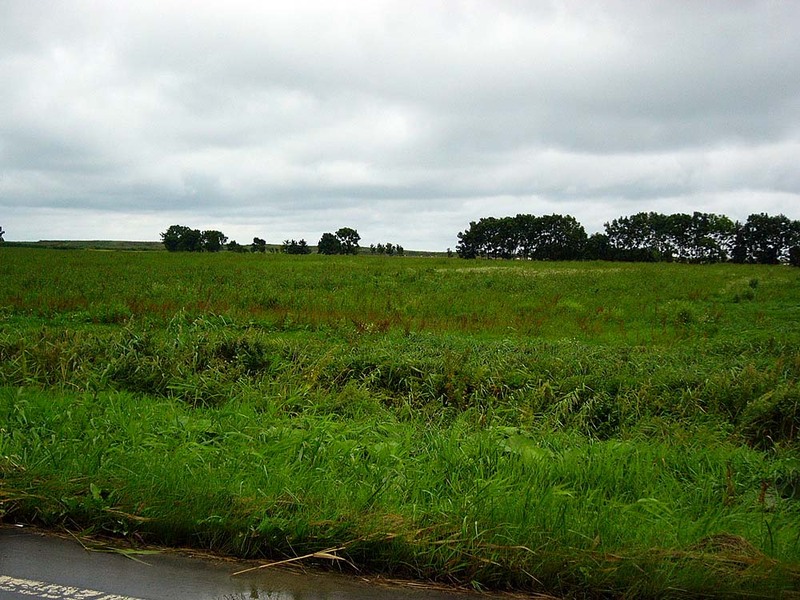 The road continues through the prairie. 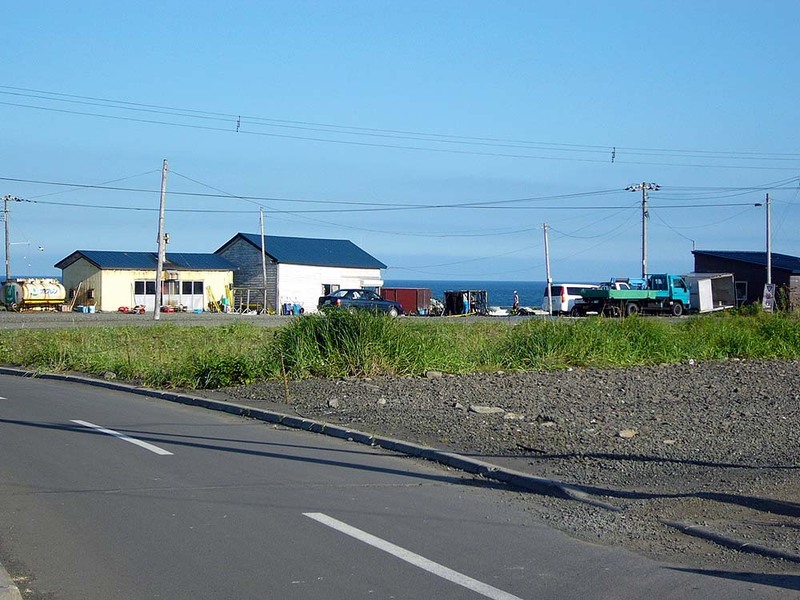 A scenery of the main road around Cape Soya park. 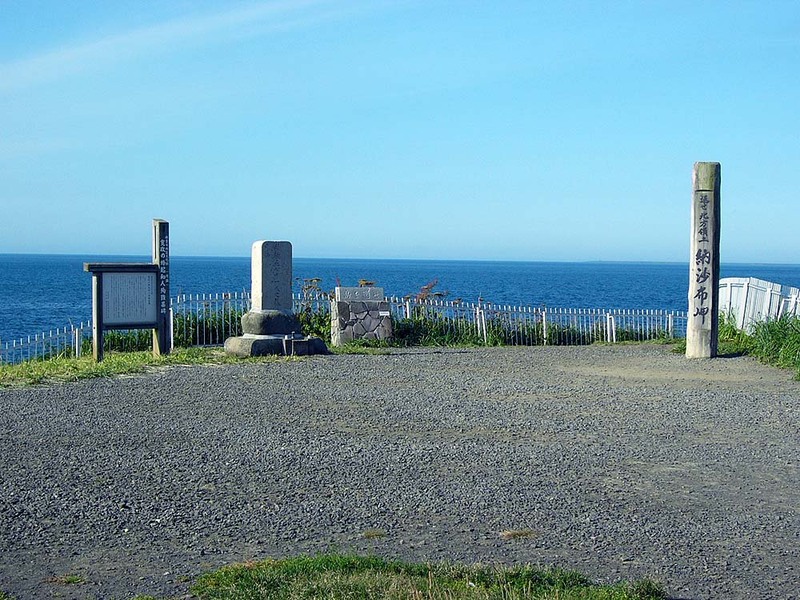 The monument of Japan's northernmost land in Cape Soya. 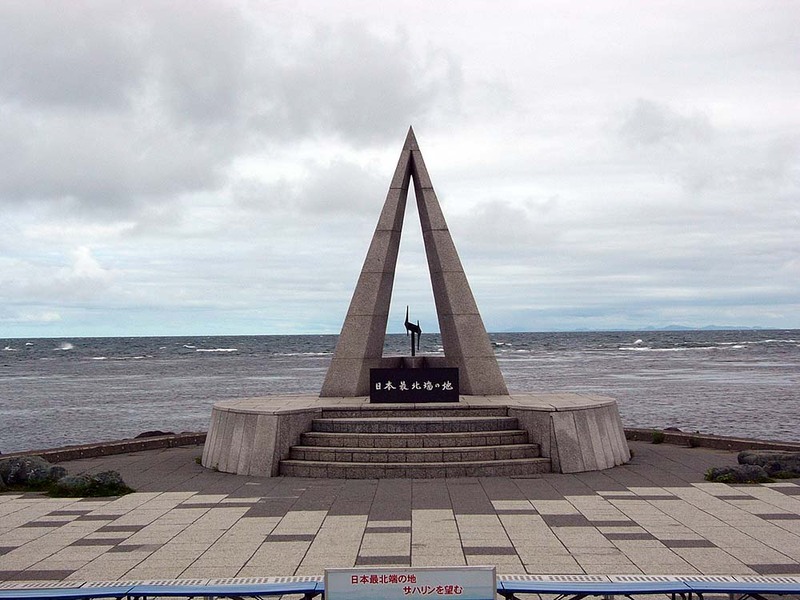 Japan's northernmost monument and the northernmost sea beyond. 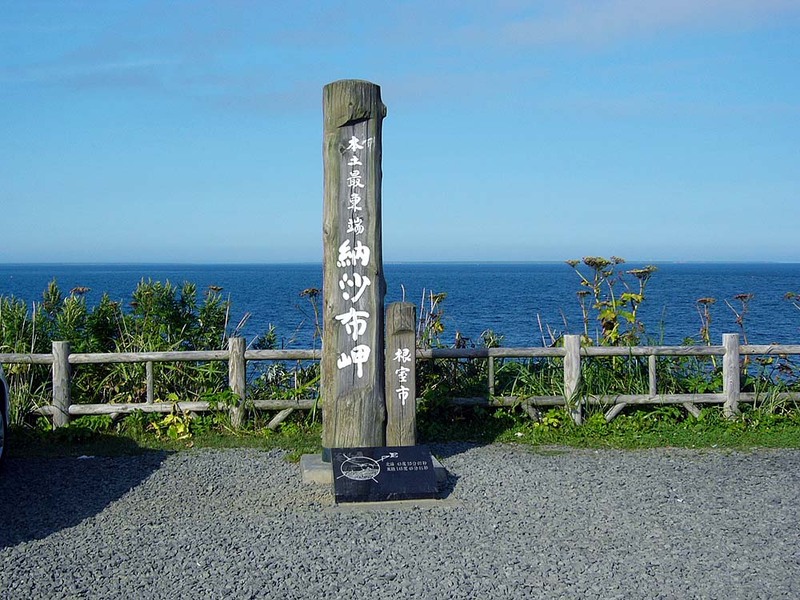 The sea seen from Japan's northernmost land of Cape Soya. 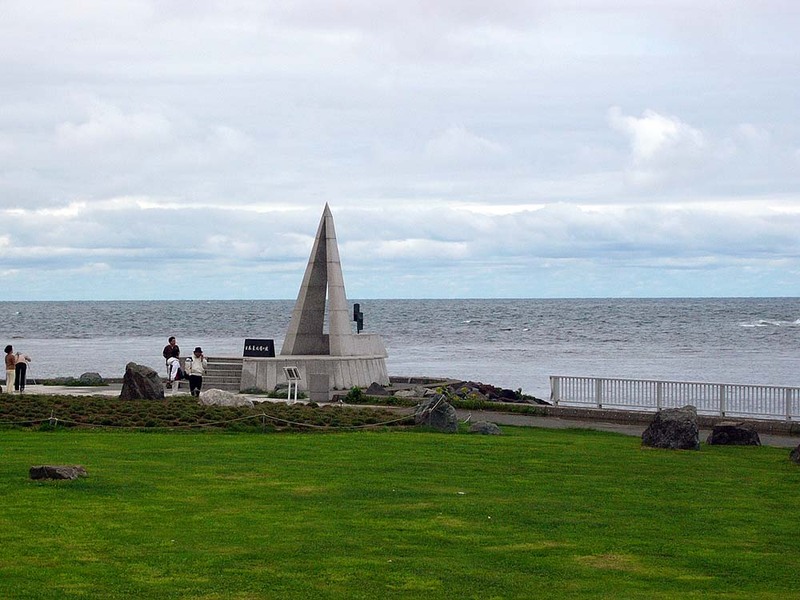 It is the sea of Japan's northernmost.